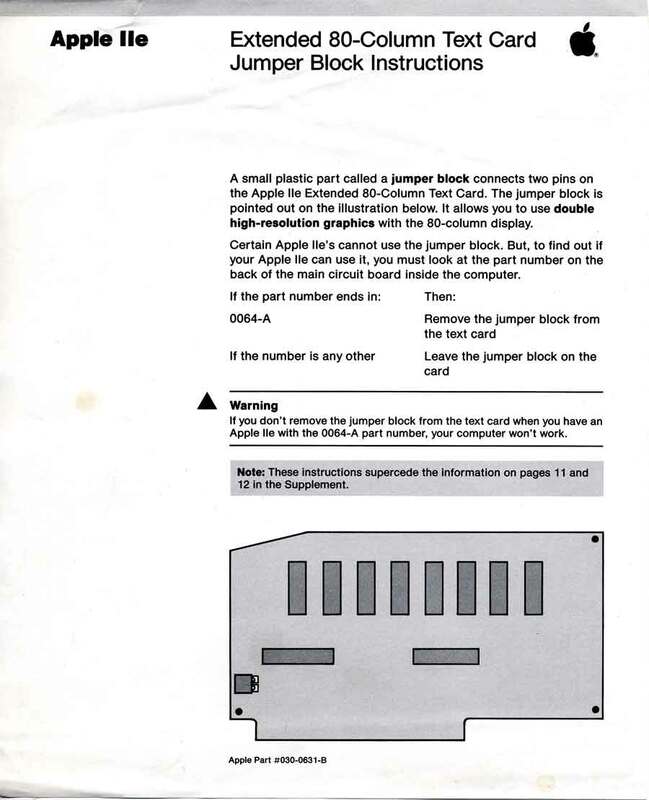 The Apple 3.5 Drive Owner's Guide, Apple # 030-0126-A, 030-0126-B, 030-2050-A, or 030-2050-B. All manuals appear to be identical, but the 0126 A and B have a grayscale cover instead of color - not pictured. The manual you receive may any of these. 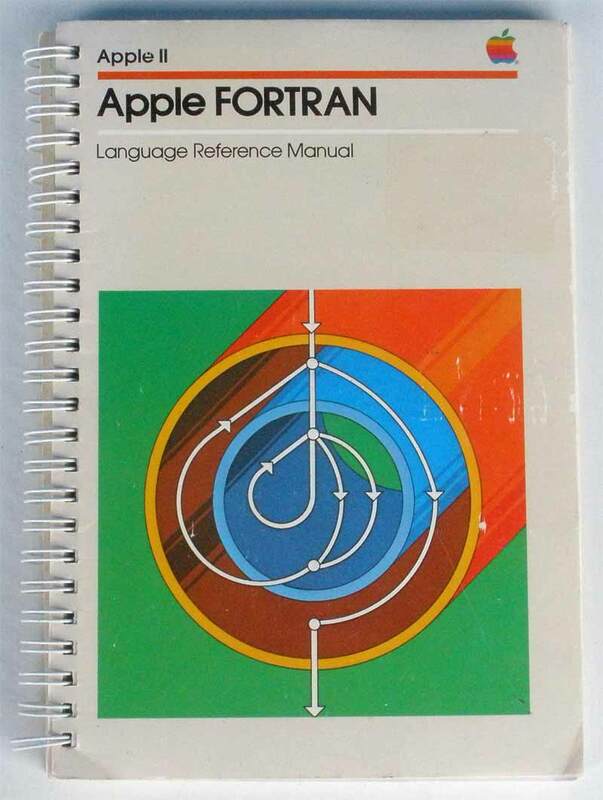 This 29 page manual covers the setup, usage/chaining and specs for the Apple 3.5 Drive, A9M0106. 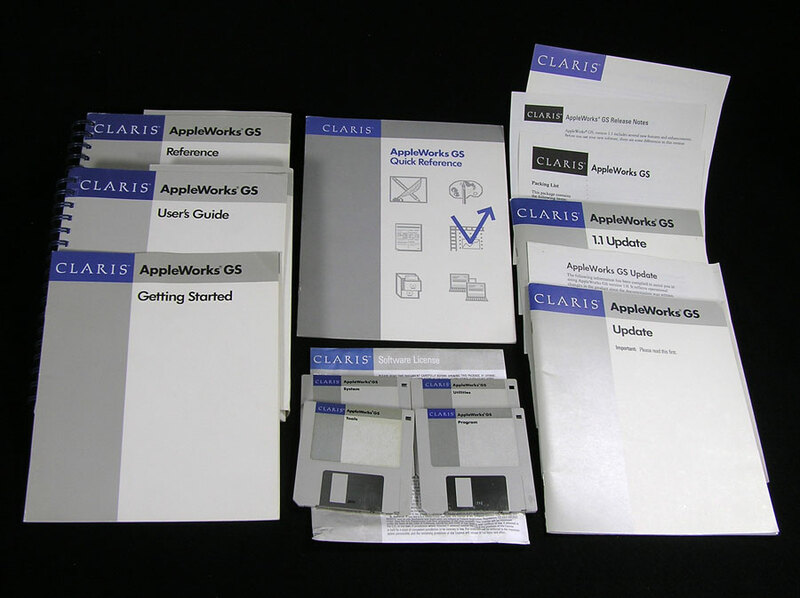 Covered are the Apple IIGS and Macintosh 512K and Plus. Most of the covers are a little yellowed with age, storage conditions, or both. Available with or without 3.5 Drive purchase. 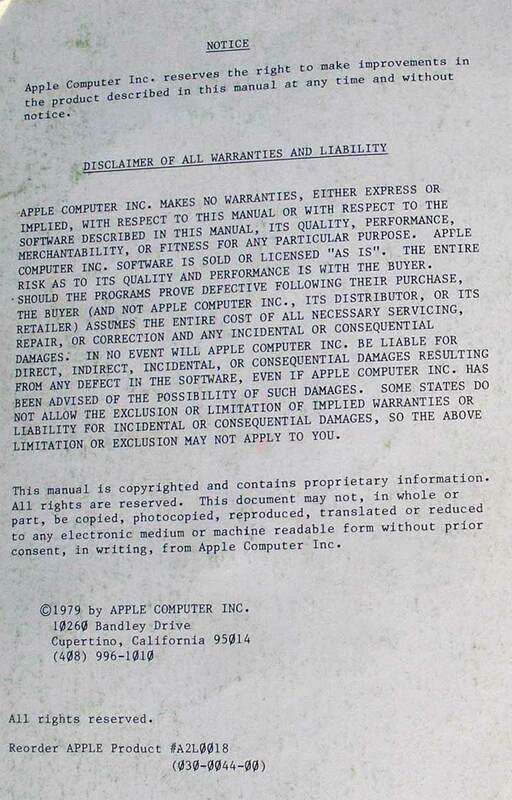 The Apple 5.25 Drive Owner's Guide, Apple # 030-1480-A, 030-1480-B, or 030-2040-A, 030-2040-B. All appear to be identical other than where they were printed. The manual you receive may be any of these. 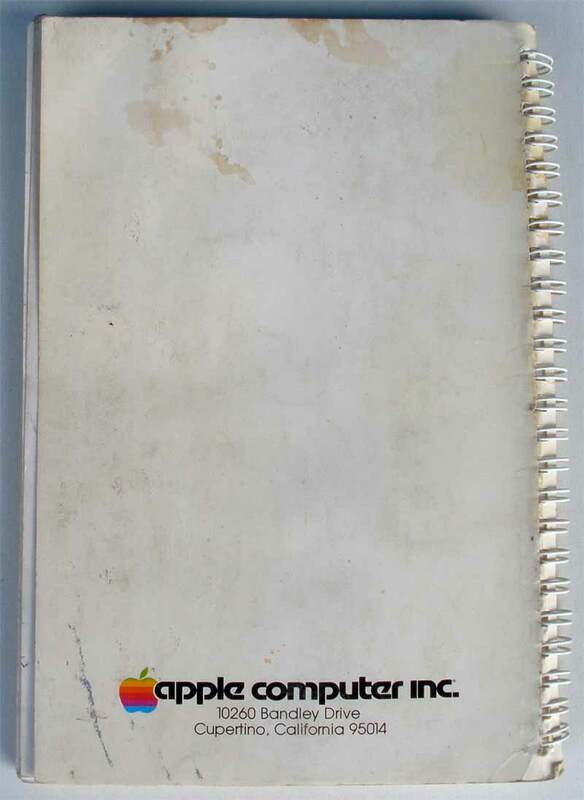 This 18 page manual covers the setup, usage/chaining and specs for the Apple 5.25 Drive, A9M0107. Available with or without 5.25 Drive Purchase. 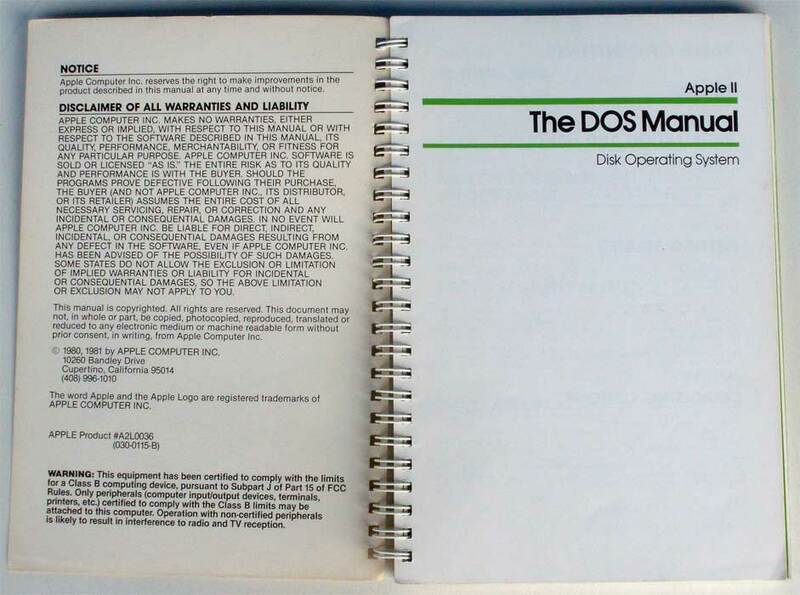 Apple II Disk II Installation Manual, Apple # 030-0415-A, 030-0415-B. 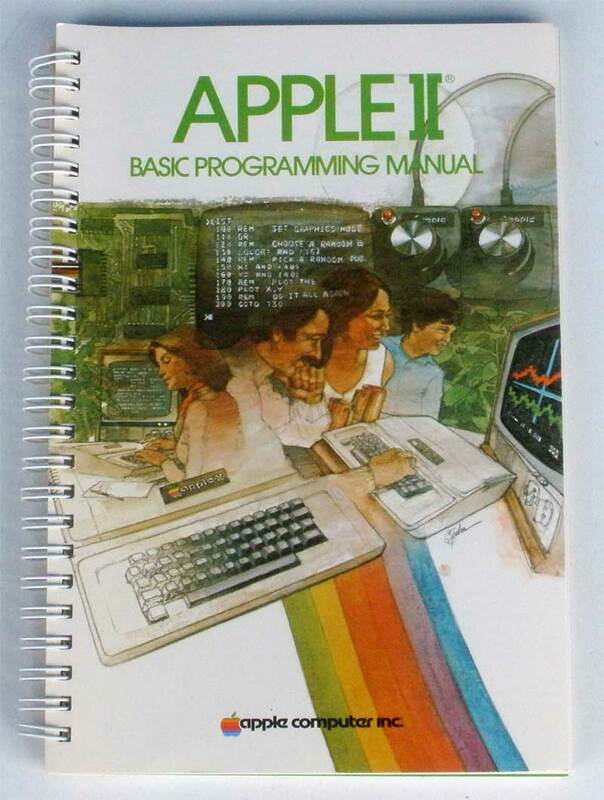 This 21 page manual covers how to install the Disk II interface card and connect the Disk II drive. 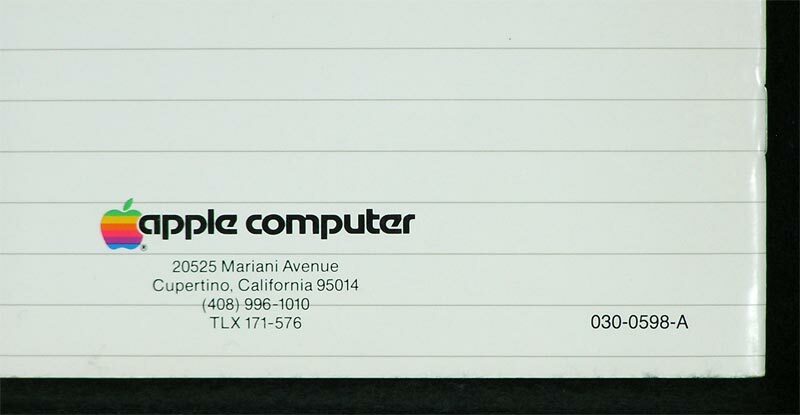 For use with the Apple Disk II Interface Card, # 820-0006-02 (650-X104) and Apple Disk II Drive, A2M0003. 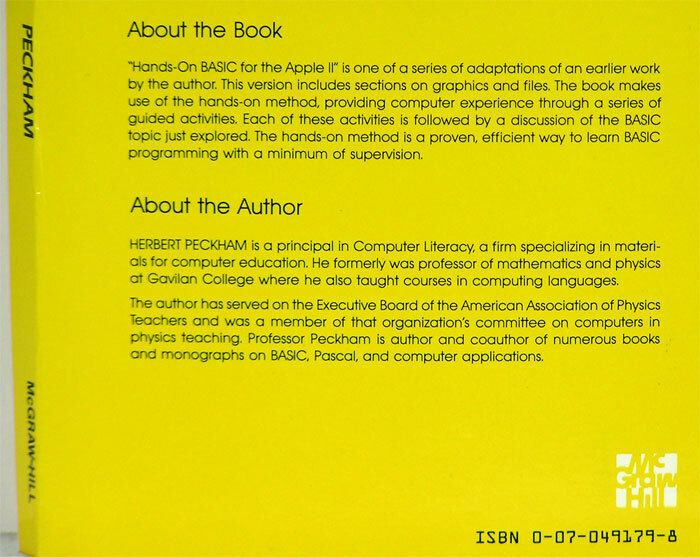 This manual describes the Apple FORTRAN programming language for the Apple II and Apple II-plus computers. 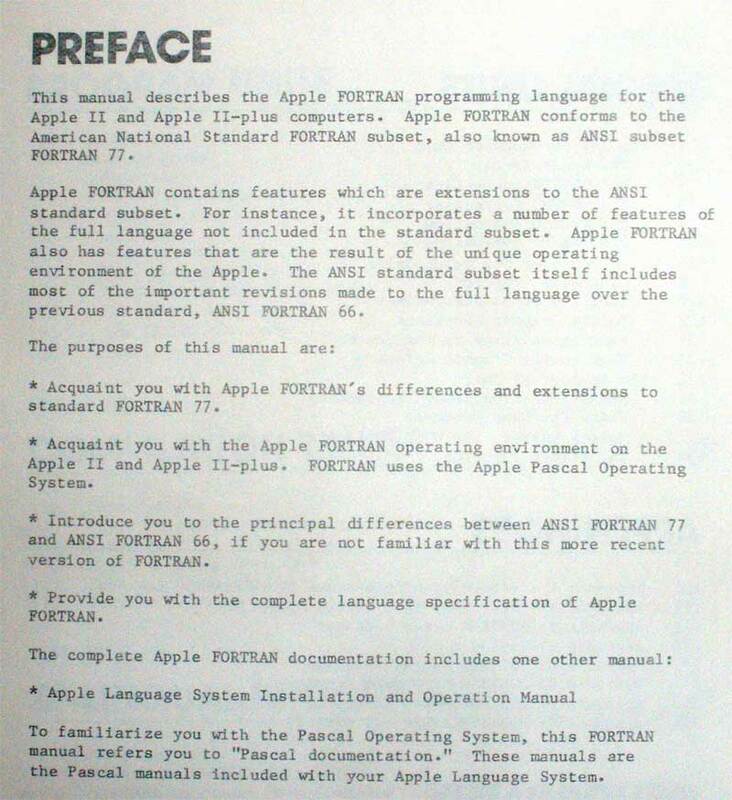 Apple FORTRAN conforms to the American national Standard FORTRAN subset, also known as ANSI subset FORTRAN 77. 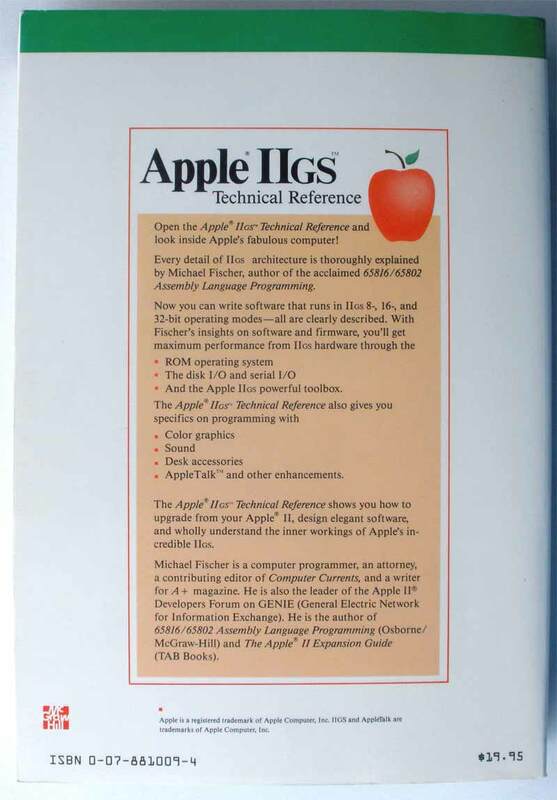 This book originally came with the FORTRAN language package. 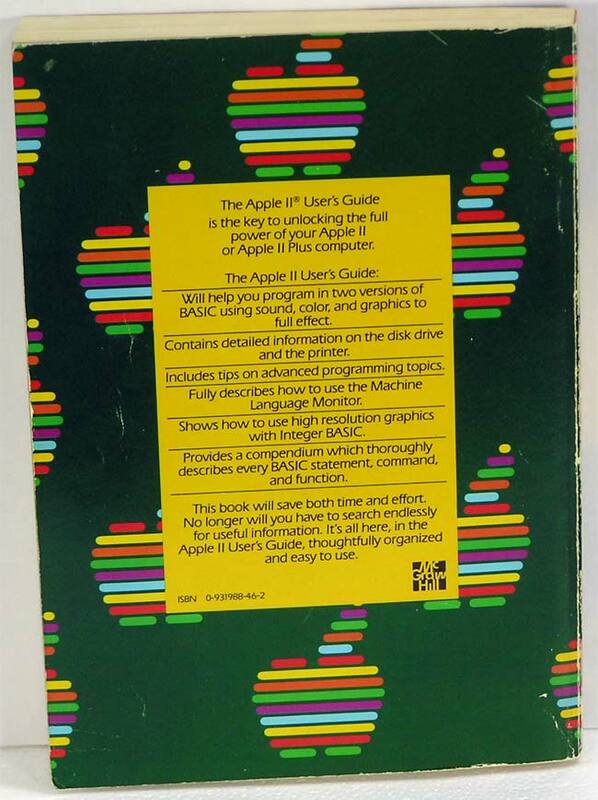 If I can find the disks, this manual will be included in the package. 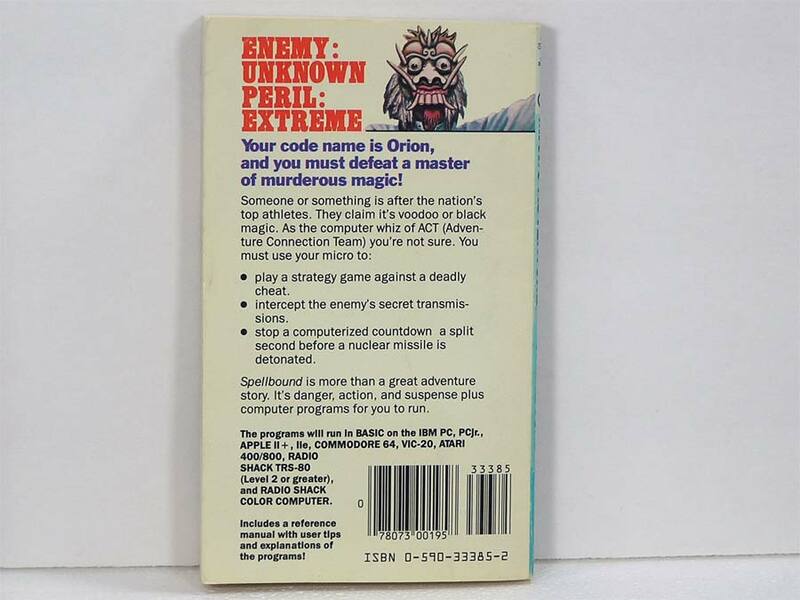 Manuals appear to be identical, but published in different countries. The manual you receive may any of these. 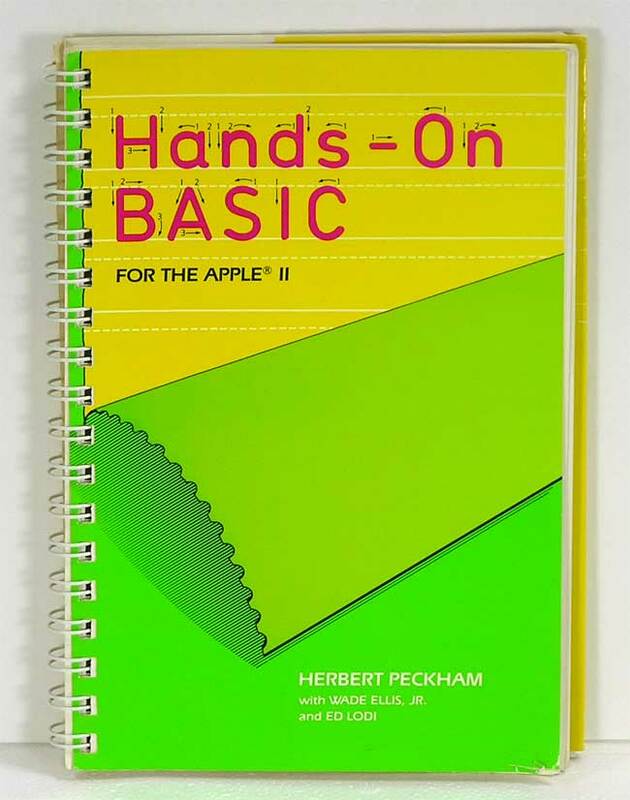 This 72 page manual covers how to install and activate as well as how to use it with your operating system - Pascal, CP/M and BASIC. 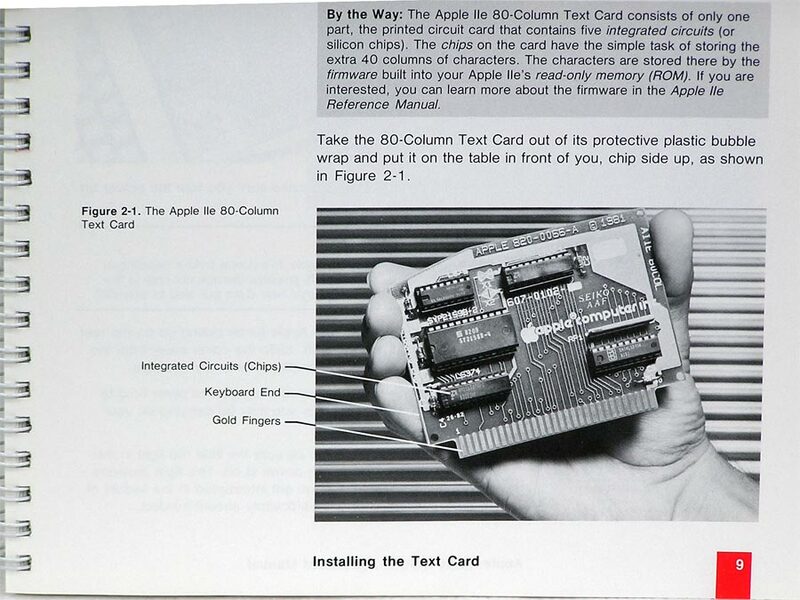 For use with the Apple IIe 80-Column Text Card, # 820-0065-A. 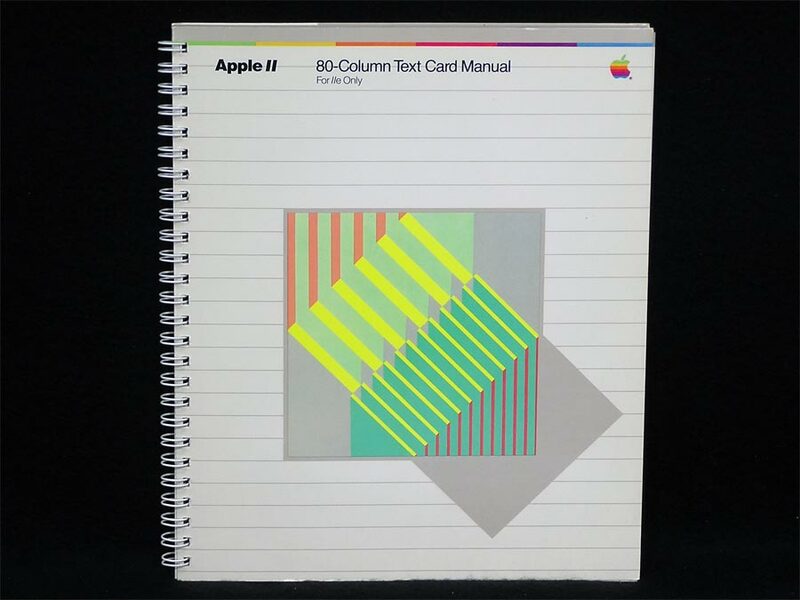 Available with or without Apple 80-Column Text Card purchase. 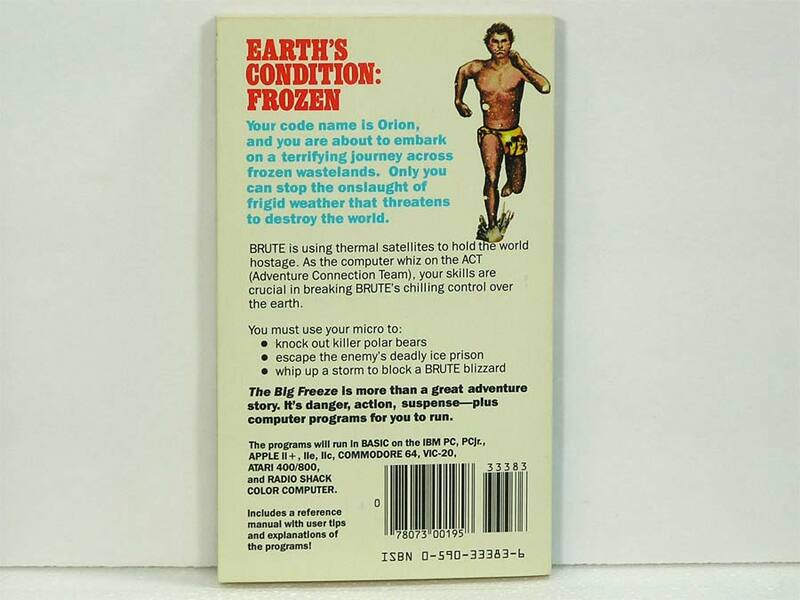 Note that the Cards are all used, but there are manuals in various conditions, including New. An Apple Today keeps the doldrums away. 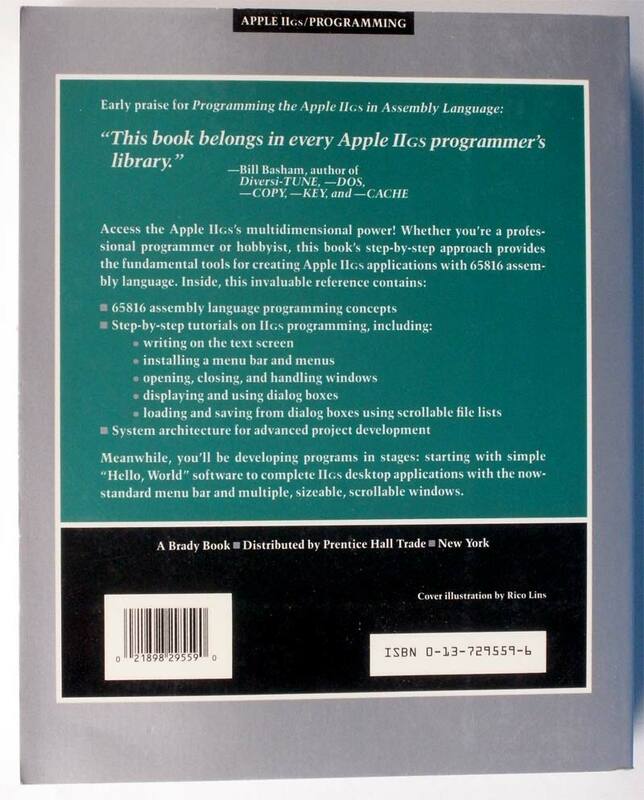 This manual will show you how to plug in your Apple (easy) and will be a guide as you learn to program it (also easy). 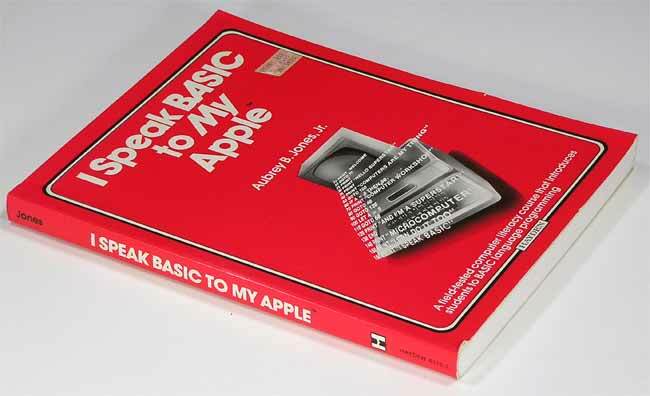 If you are an Old Hand at programming, you will find some new features and conveniences in Apple Basic that make programming a lot more fun. 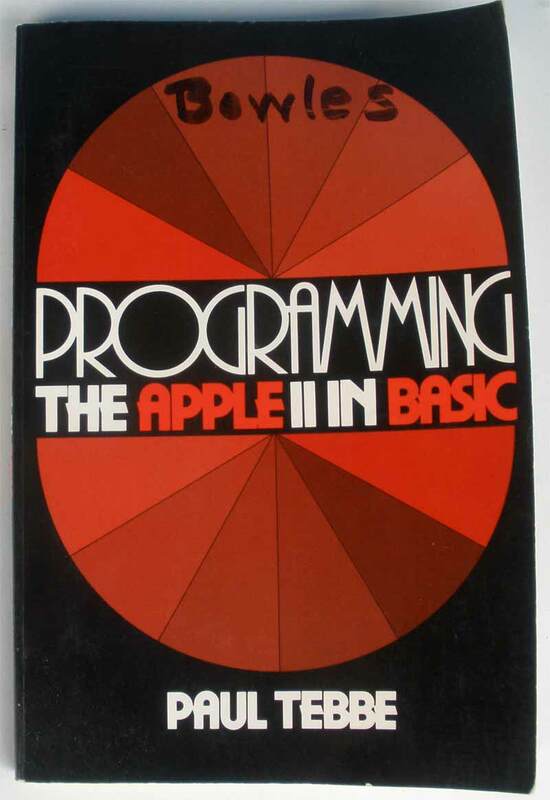 If you are a Newcomer to programming, you will also find many features and conveniences in Apple Basic that make programming a lot of fun. But, if you are a Newcomer, be warned that programming, though not difficult, can only be learned by doing. More will be said on this topic later, but remember--this is a book to be used, not merely perused. 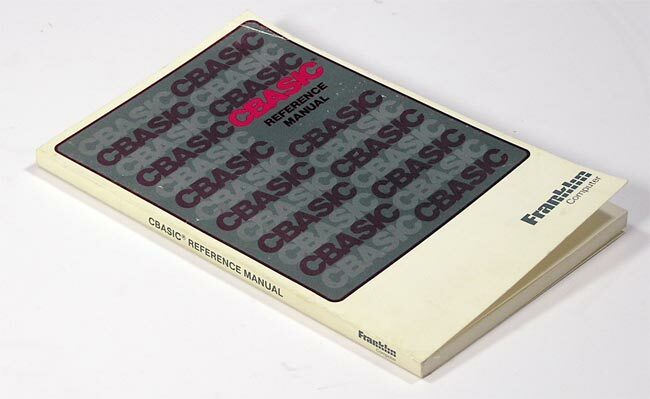 Manual that is "Acceptable" was wet at one time, but there are no stains and is perfectly readable. Limited supply includes New (sealed), unwrapped (like new), very good and good (show signs of wear). 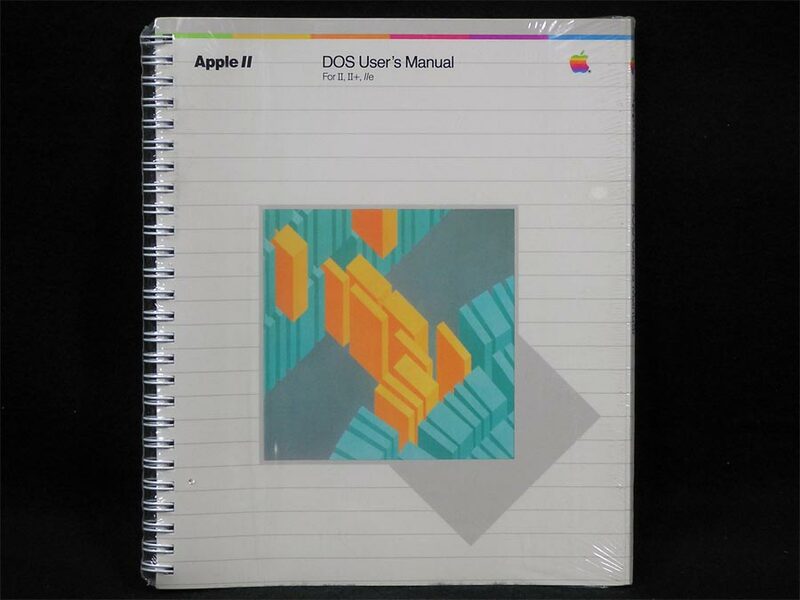 Covering DOS 3.3, the 1983 Apple II DOS User's Manual, Apple 030-0407-A, is geared toward the new user. 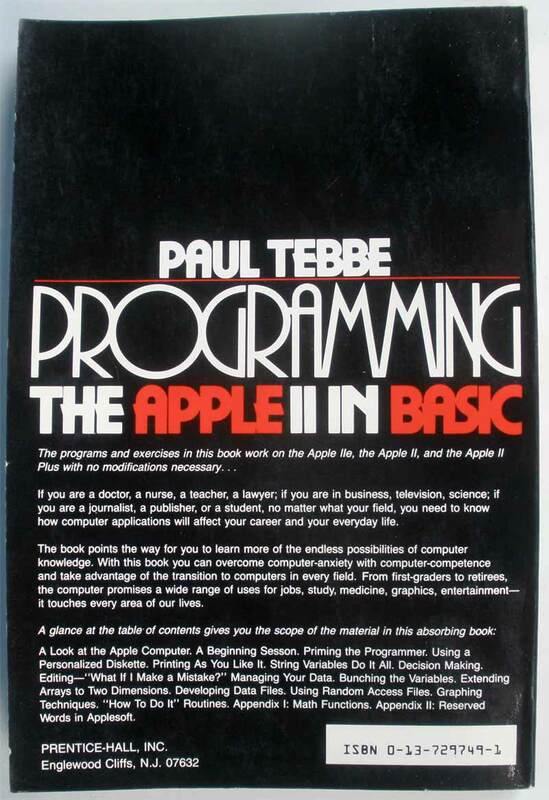 It gives 174 pages of introduction, tutorials and commands and instructions covering the Disk Operating System. Limited supply includes New (sealed), unwrapped (like new), and one missing the front cover. 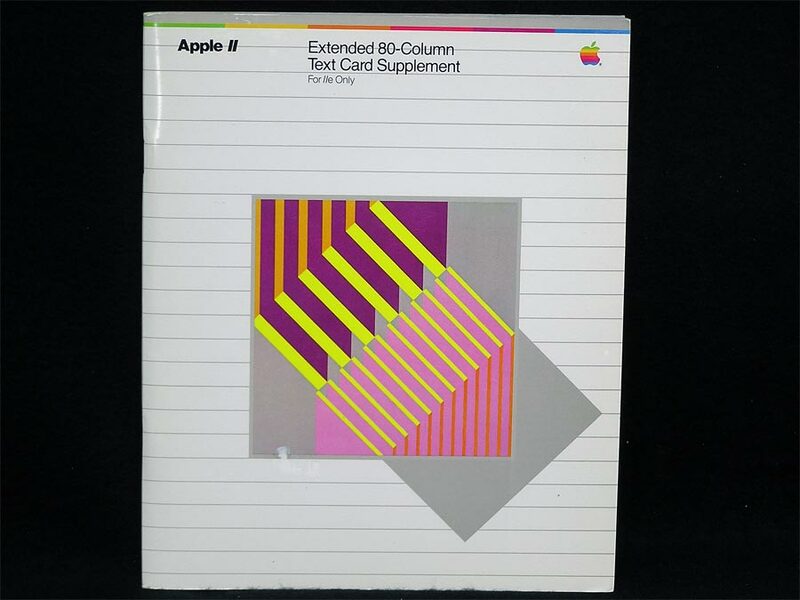 First there was the Apple II 80-Column Text Card, then Apple added 64K to it and called it the Apple II Extended 80-Column Text Card or AIIE 80COL/64K Memory Expansion (#820-0067-B). 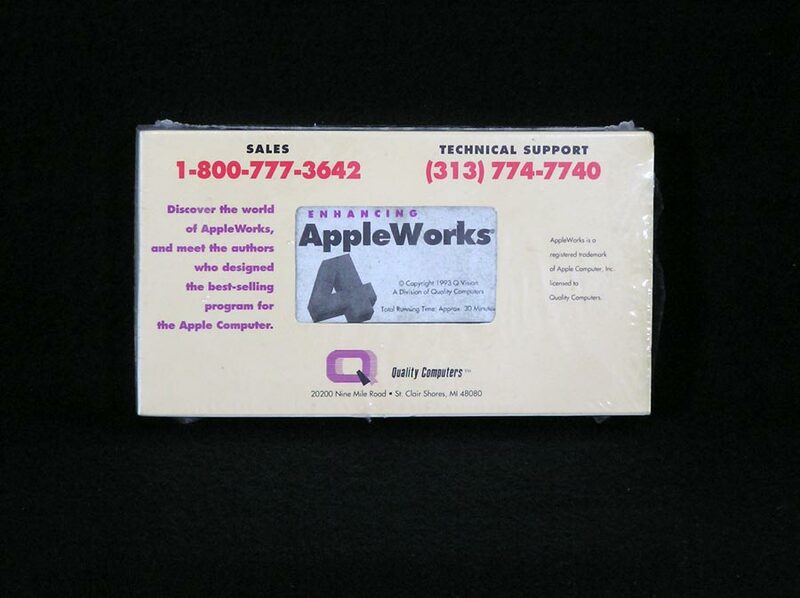 Apple II Extended 80-Column Text Card Supplement Apple #031-0496-A or 030-1202-A. 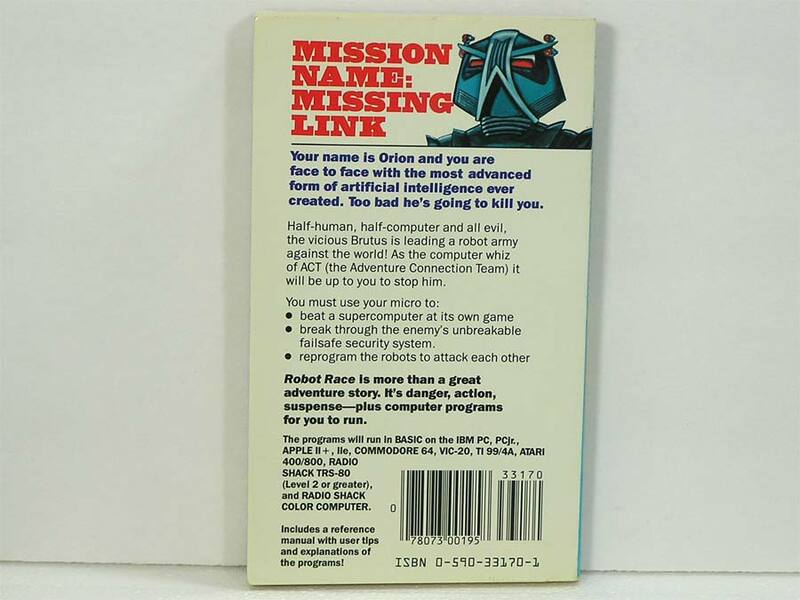 Manuals appear to be identical, but published in different countries. The manual you receive may any of these. This 59 page manual covers how to use the extra memory for more features, storage or as a developer. 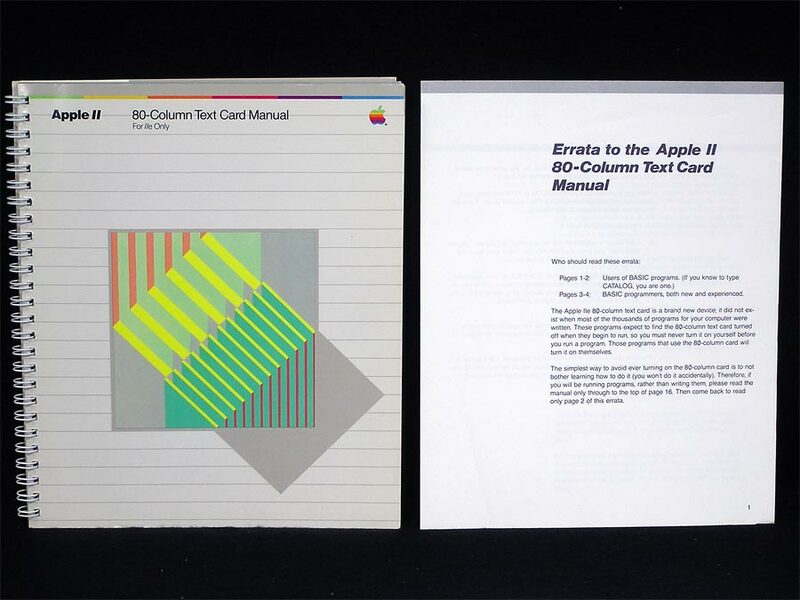 Used in conjunction with the Apple II 80-Column Text Card Manual. 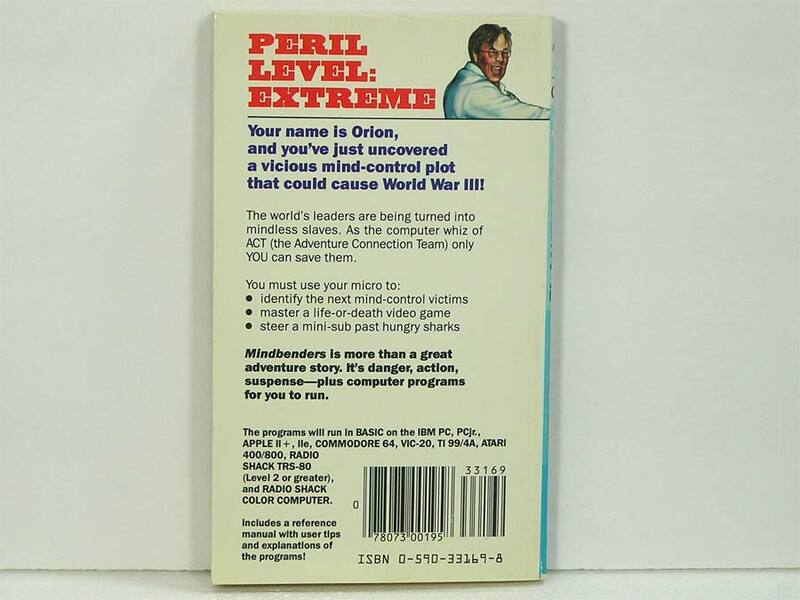 Supplement available with or without the 80-Column/64K card purchase, and/or the Apple II 80-Column Text Card Manual in matching condition. 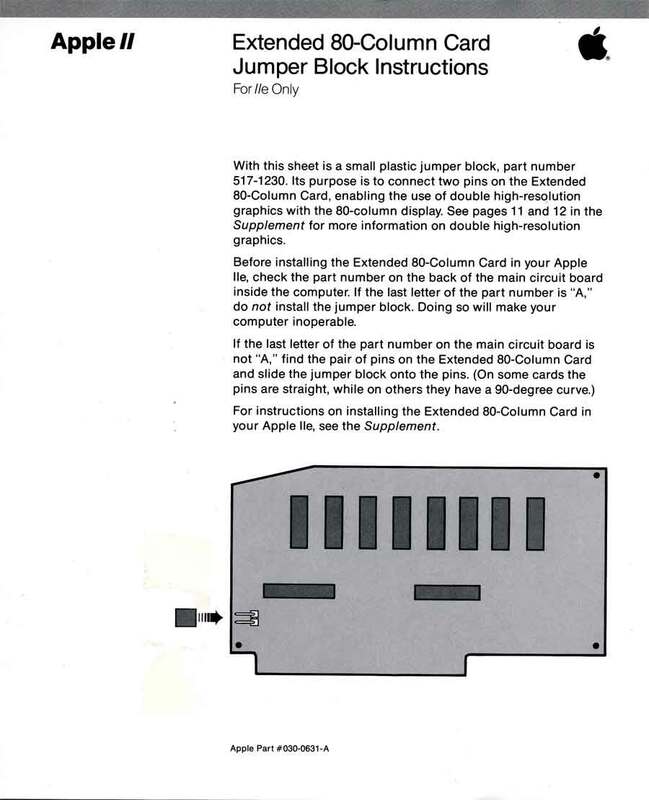 Also pictured are the two versions of the jumper block instructions that came with the card. I only have a couple of these, so will include one only with the purchase of all three items, Extended 80-Column Card, Supplement and Manual. These manuals are in Very Good to Like New condition. The Super Serial Card II, 820-0046-(x), or 670-0020-(x) provides a two-way serial interface to a wide variety of devices, including printers, terminals, plotters, and other computers. 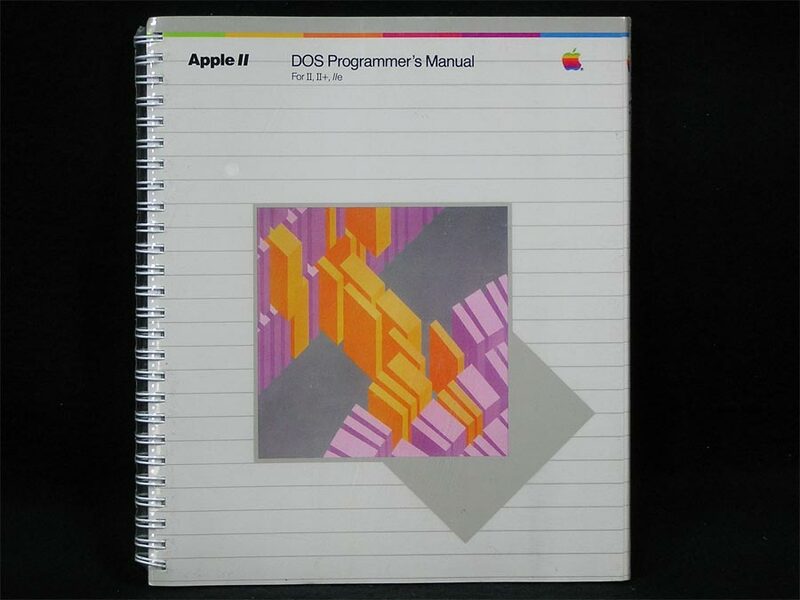 This 129 page manual (plus Reference Card), Apple II Super Serial Card Installation and Operating Manual, Apple 030-0270-A, A2L0044 is from 1981. 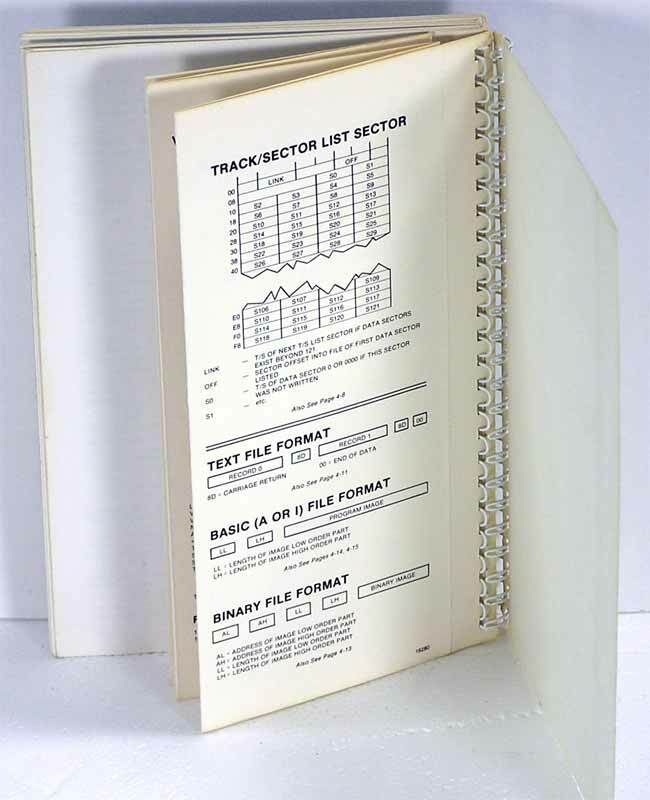 All manuals in stock have been read and range from Very Good to Acceptable (has been wet, but perfectly readable). 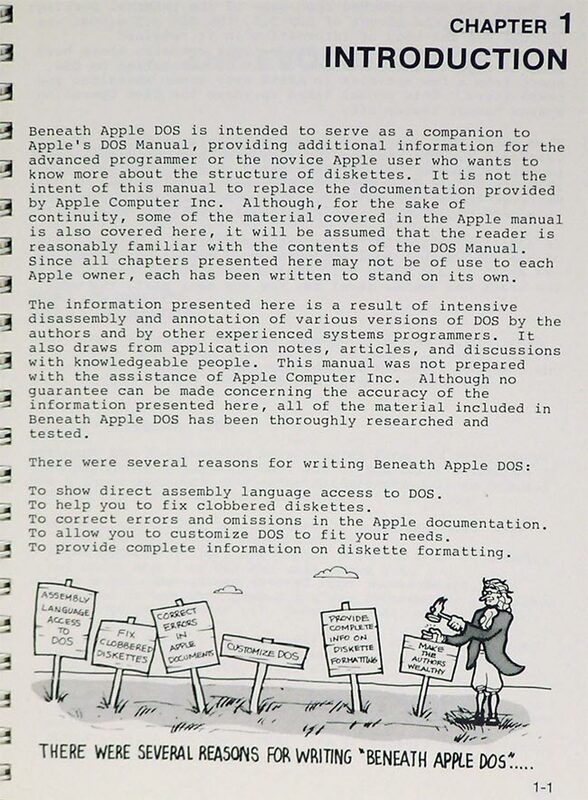 The Apple II Super Serial Card User's Manual, Apple # 030-128-A, B, C or D.
Rev A and B have 58 pages, C and D have 53 pages, all have a Quick Reference Card. The manual you receive may any of these. 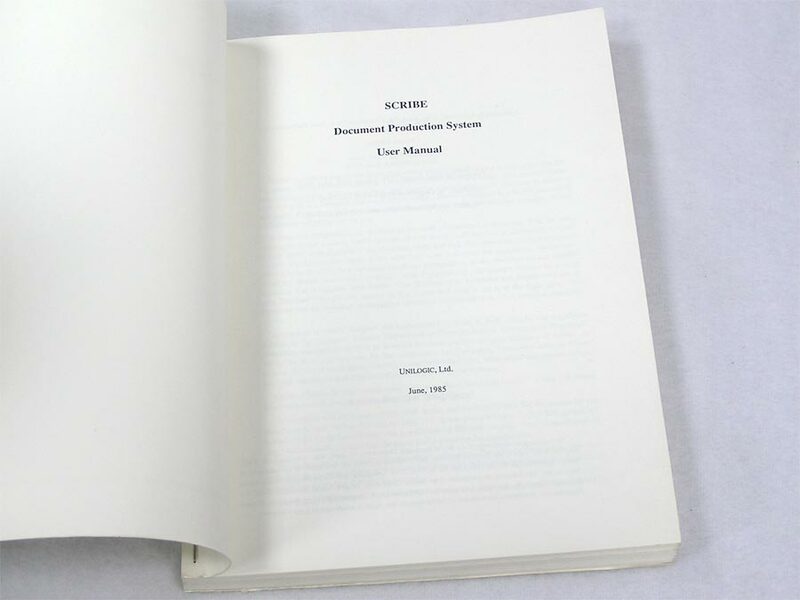 This 1985 manual covers installation, switch setting, commands and troubleshooting for the Super Serial Card II, 820-0046-(x), or 670-0020-(x). 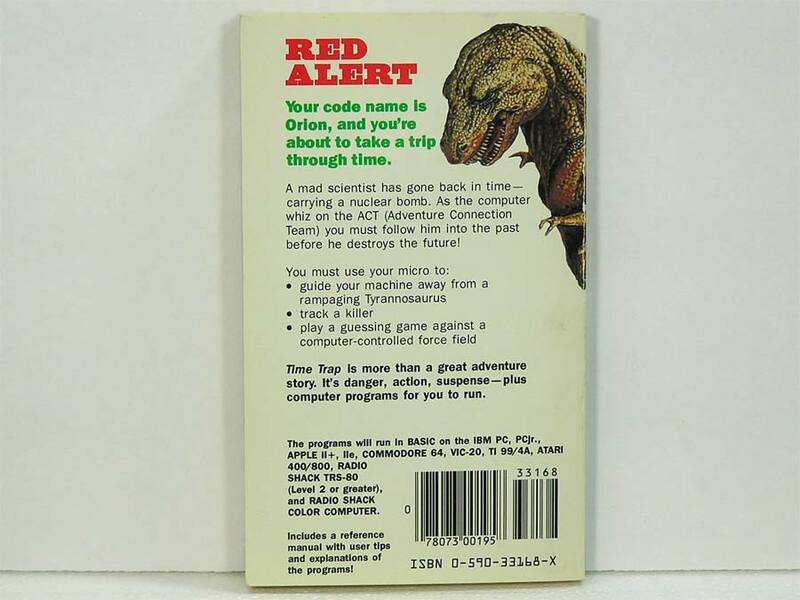 Compatible with Apple II, II Plus, and IIe. Condition varies from New to Good. Apple ][ and ][ Plus. This book will save both time and effort. No longer will you have to search endlessly for useful information. 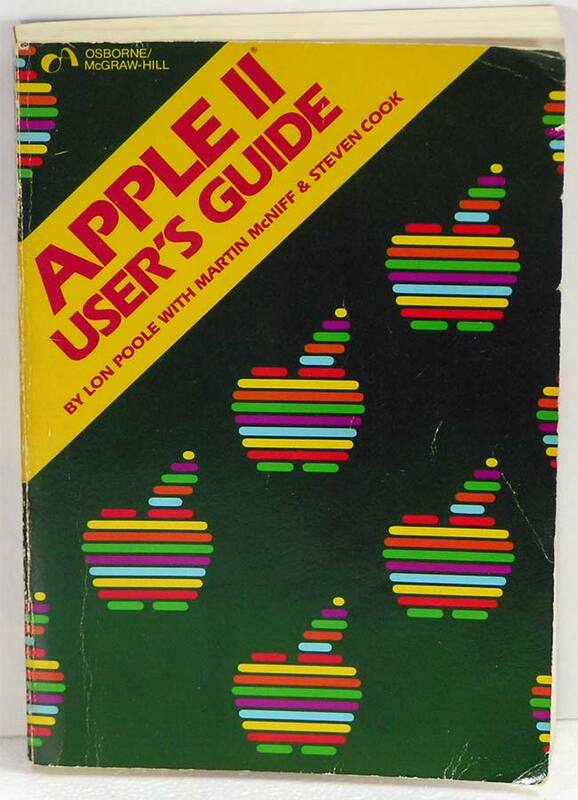 It's all here, in the Apple II User's Guide, thoughtfully organized and easy to use. 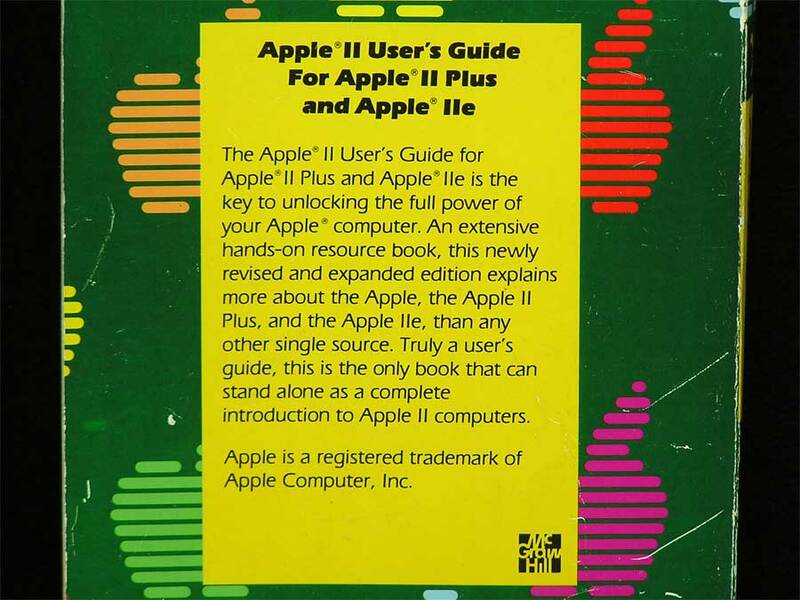 The Apple II User's Guide is the key to unlocking the full power of your Apple II or Apple II Plus computer. These books came with two different covers. 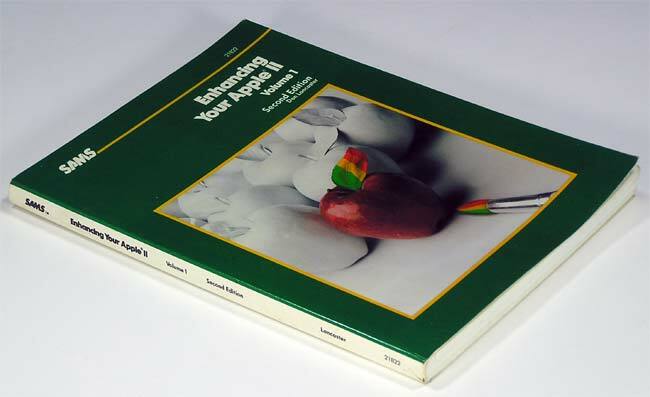 Multicolored apples are pictured, the book you receive may have solid colored apples. Apple ][ Plus and //e. 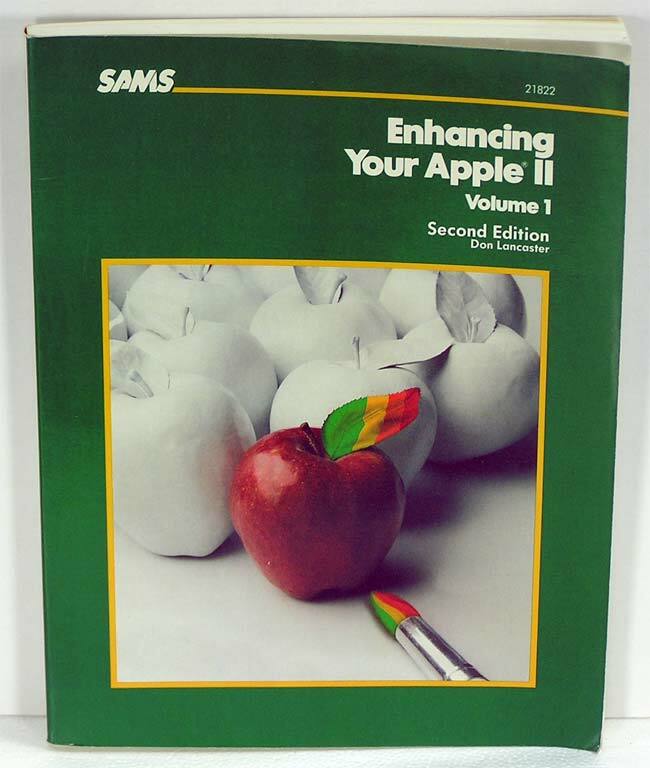 The Apple II User's Guide, 2nd Edition is the key to unlocking the full power of your Apple II Plus or Apple IIe computer. 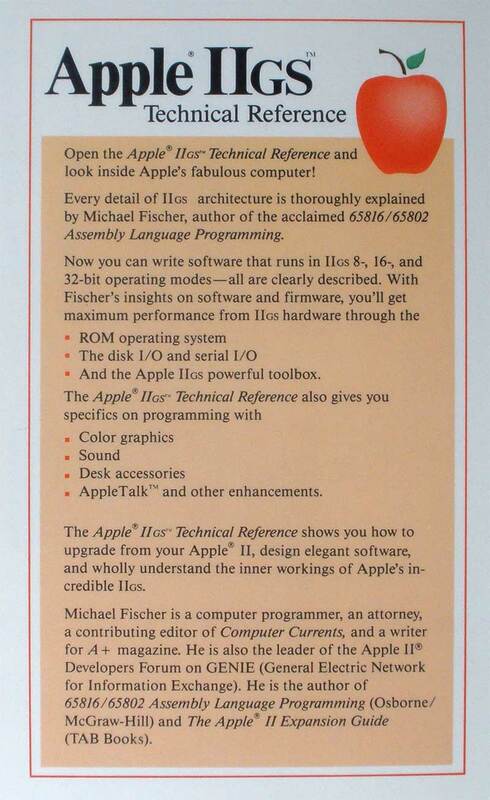 Open the Apple IIGS Technical Reference and look inside Apple's fabulous computer! For the Apple IIGS monitor. 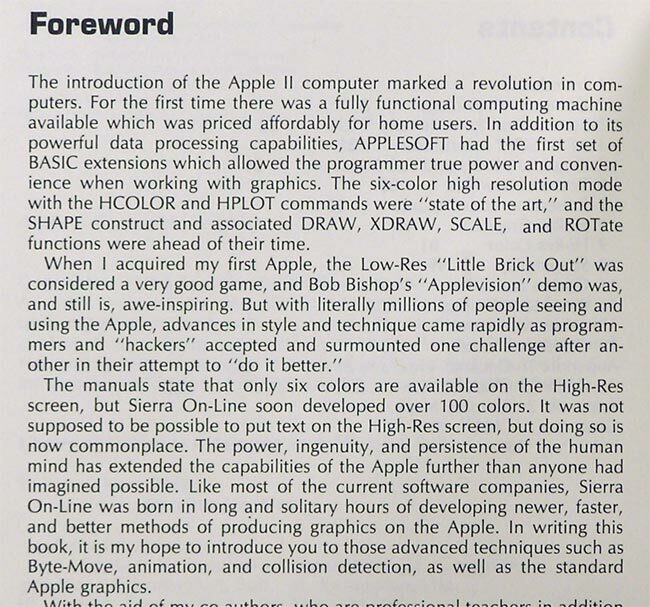 The AppleColor RGB Monitor Owner's Guide, Apple # 030-3106-A, 030-3106-B, or 030-3106-C.
Rev A is printed in the U.S.A, but is otherwise identical to B (Japan). Rev C (Singapore) has a grayscale cover instead of color - not pictured. The manual you receive may any of these. 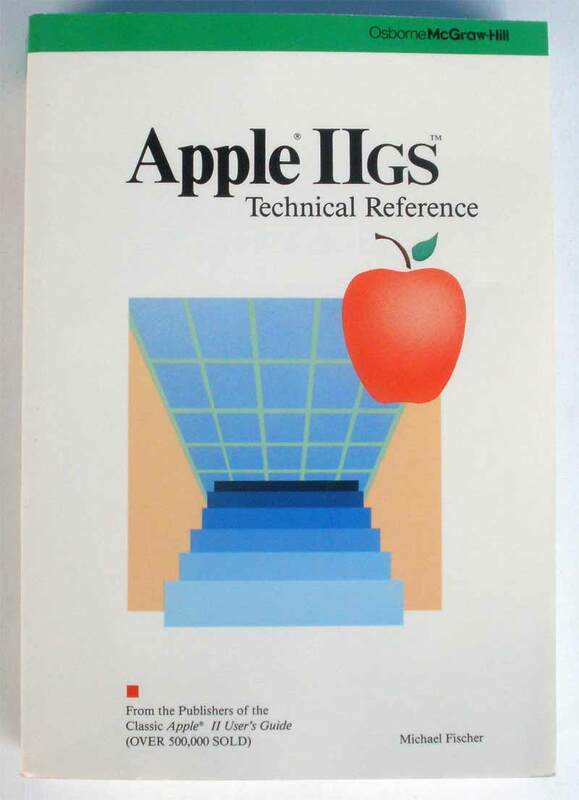 This 13 page manual covers the setup, adjustment and specs for the IIGS RGB color monitor, A2M6014. Available with or without Monitor Purchase. 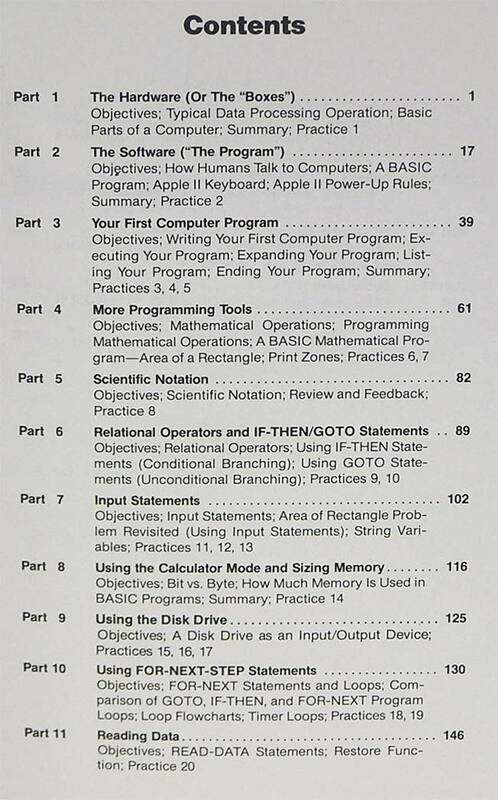 Written for the Apple IIe computer using AppleSoft language. Instructions are presented in a lesson-type format using terms easily understood. Programming techniques expand from a simple level to advanced. Details how to write and run programs in an 80 column mode. Presents an 80 column formatter program. 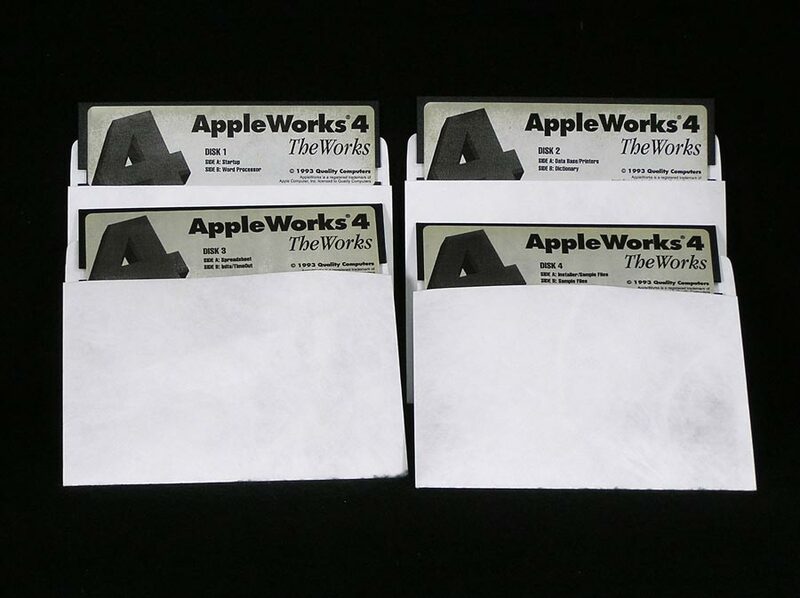 The Last AppleWorks for the Apple II. 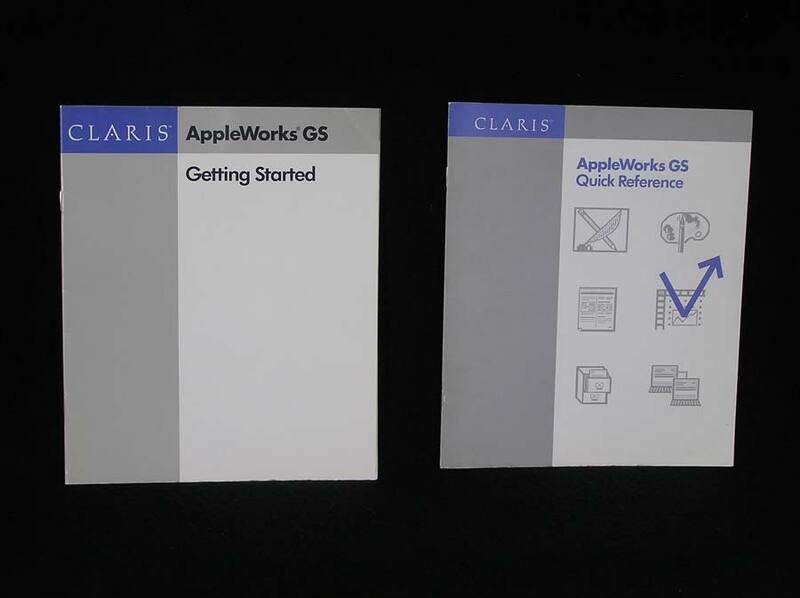 AppleWorks is an integrated software package which combines a word processor, database and spreadsheet applications all in one program. 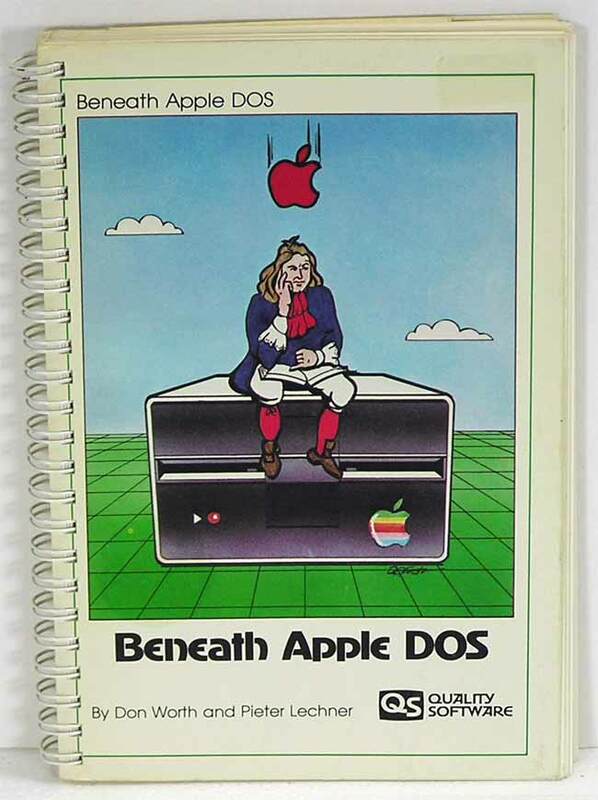 Probably the most popular and longest running app ever for the Apple II. 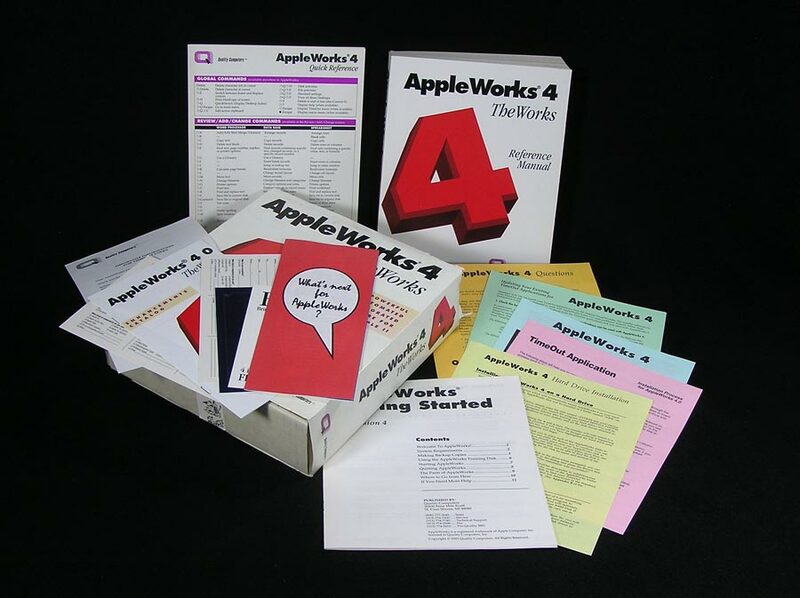 Appleworks 4 and 5 were put out by Quality Computers in the early 90’s and incorporated many of the popular TimeOut add ons. 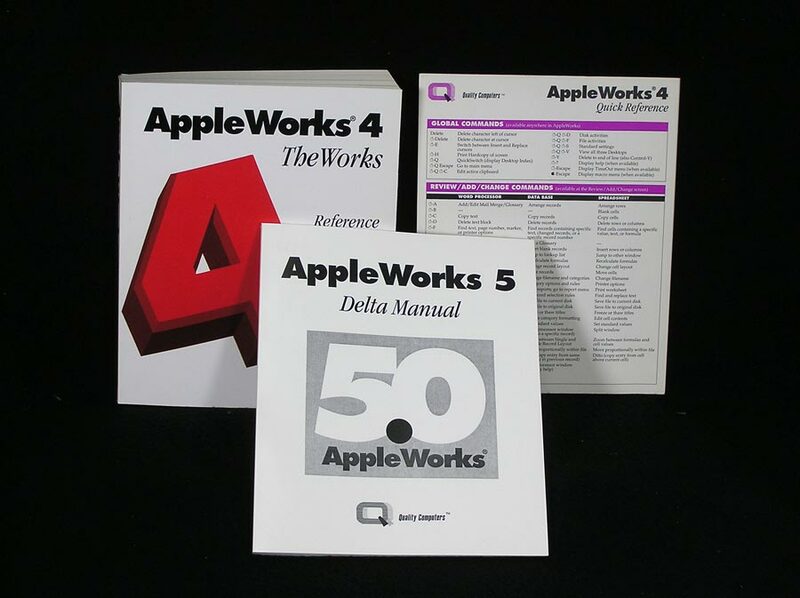 Sold as AppleWorks 4. 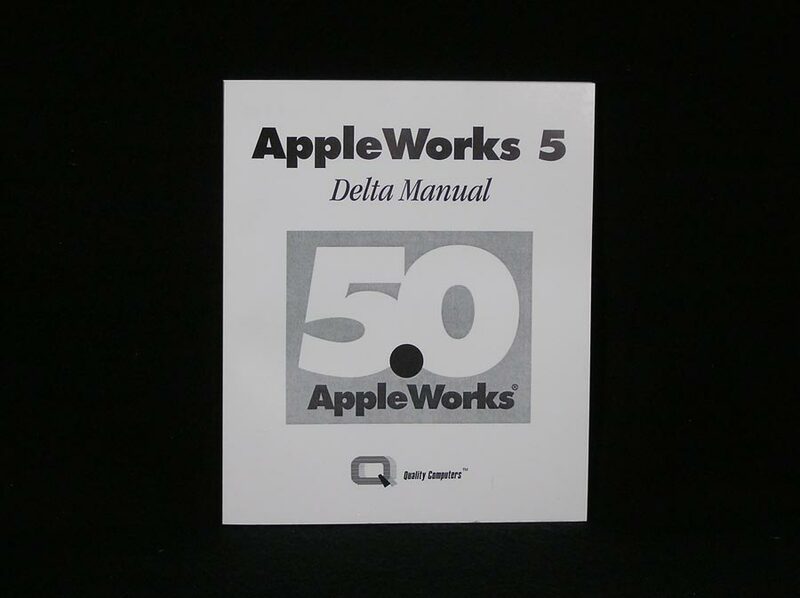 New disks and a small Delta Manual added to the 4 package when 5 was introduced. To use the built-in UltraMacros player, you need at least 256K and your IIe has to be enhanced. Enhanced IIe or better with at least 256K RAM. *other assorted ads, registration form, etc. 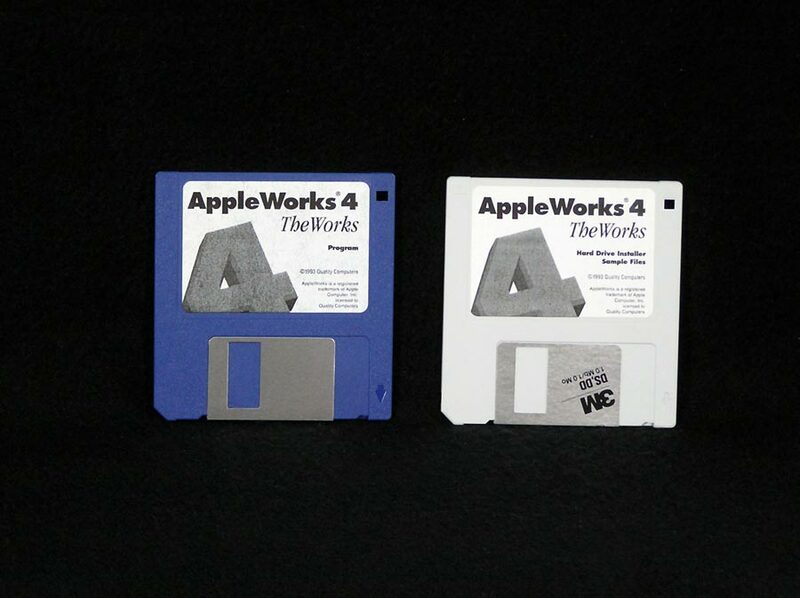 ******AppleWorks 4 was available with either 4 - 5.25 disks or 2 - 3.5 disks. 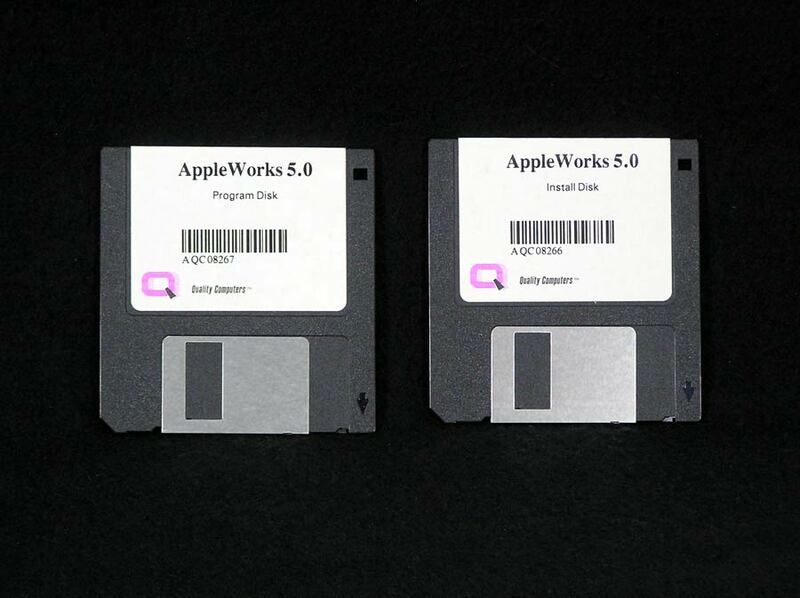 AppleWorks 5 was only available on 3.5 disks. Very limited availability as there are still many, many boxes of software to go through. 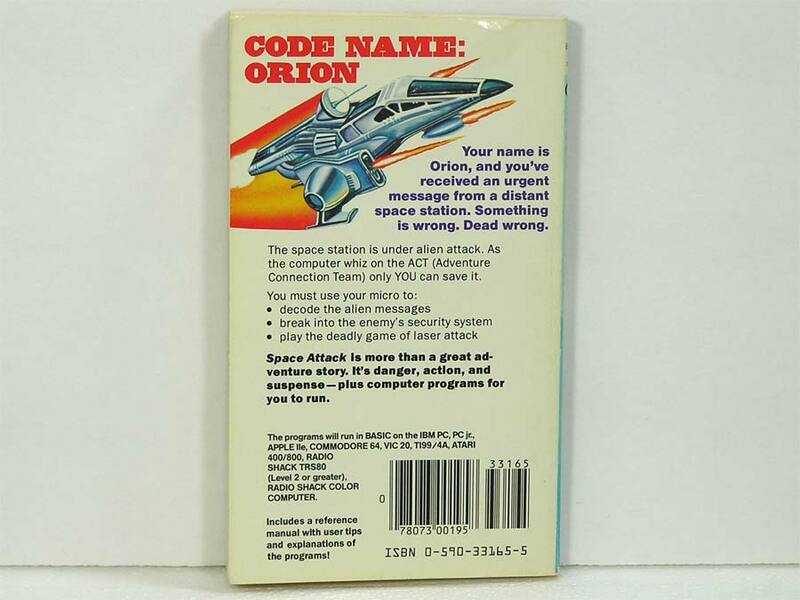 Items with asterisks are limited and one or more of these items may be missing in a slightly incomplete package but ALL include the manuals and Quick Reference card. Most are in very good condition. 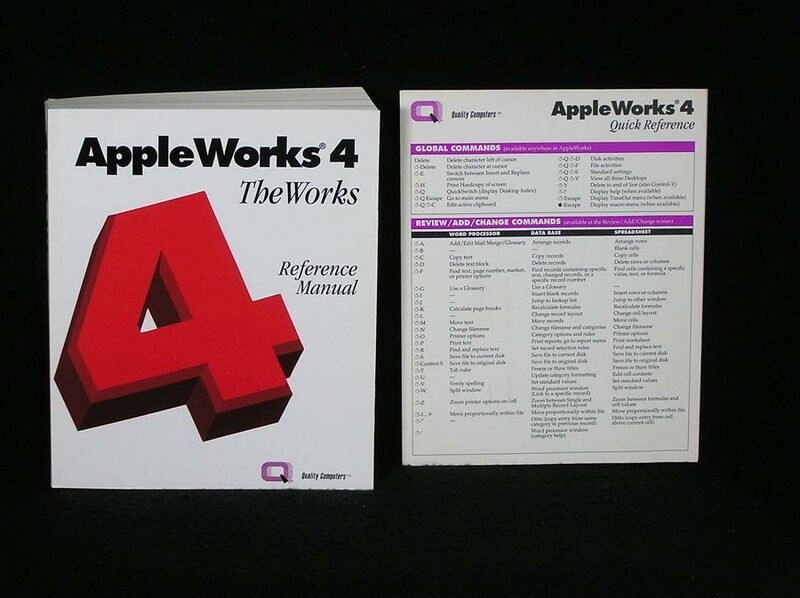 H) AppleWorks 4 Video New! 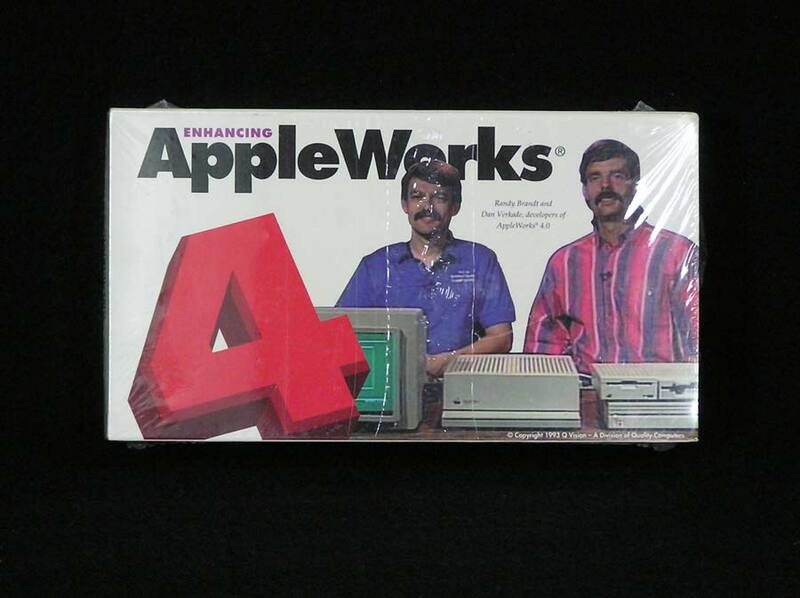 With Purchase of an AppleWorks set above, be sure to order one of these as well. 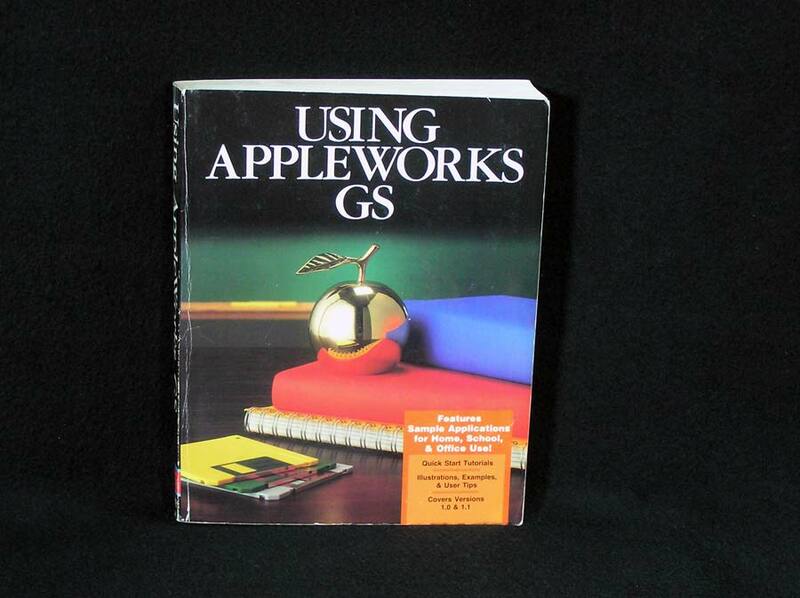 AppleWorks GS for the Apple IIGS. 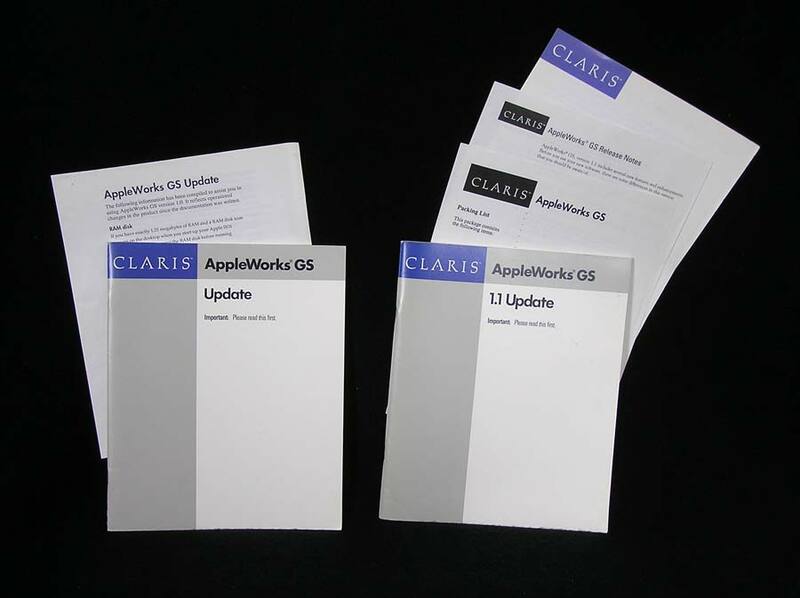 AppleWorks GS combines six powerful applications into a single integrated software package designed to let you get the most out of your Apple IIGS. Word processing, database, spreadsheet, graphics with paint and draw, desktop publishing with page layout, and communications. GS/OS system software 5.0.4 is the bootable operating system. Very limited availability as there are still many, many boxes of software to go through. 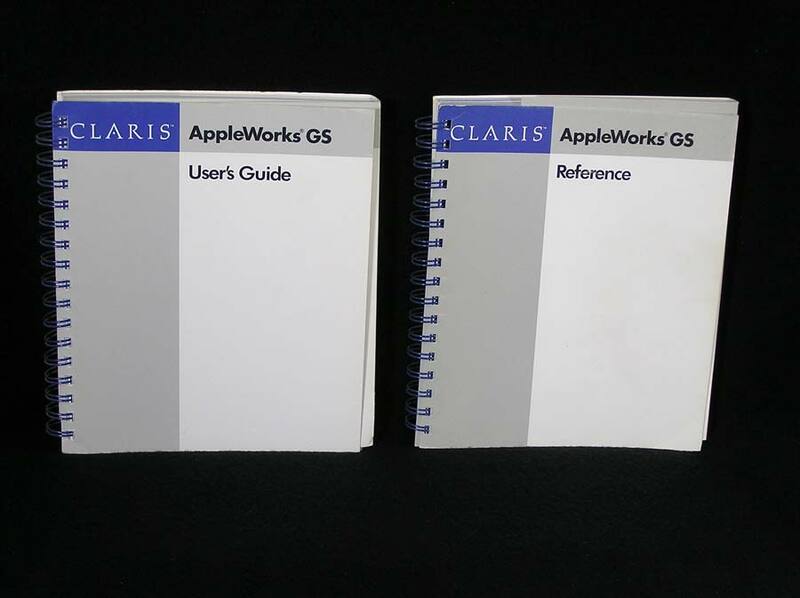 Items with asterisks are limited and one or more of these items may be missing in a slightly incomplete package but ALL include the Reference, User’s Guide and Quick Reference card. No original boxes available. ***Photo is for Illustration Only*** Note that these manuals have been used and read. Most are in Good to Very Good condition. There may be a name stamped or writing on the cover. One set has had stickers removed from all the covers. The nicest ones I have will ship first. 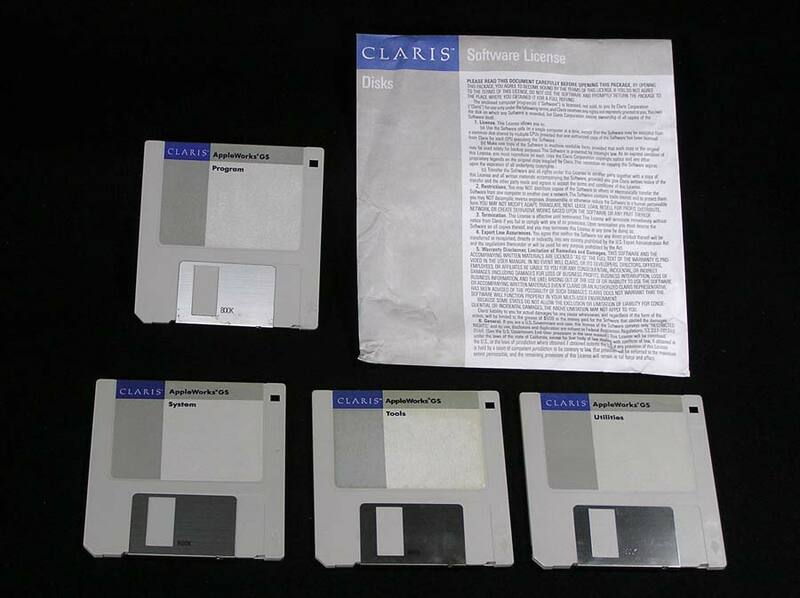 Most original disks have handwriting on the labels such as 1.1 to differentiate from the 1.0 disks that look identical. 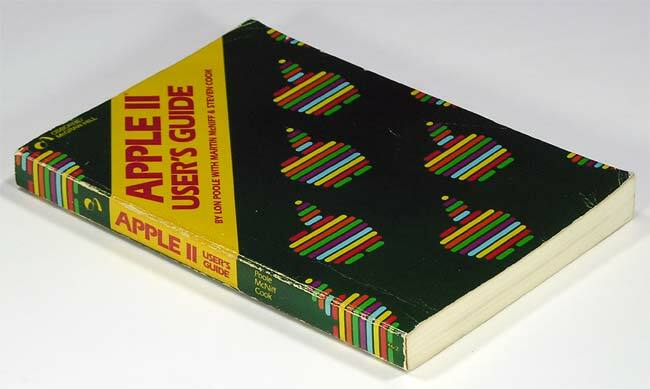 D) User’s Guide Only - Acceptable condition, missing back cover, Front cover coming loose from binding. 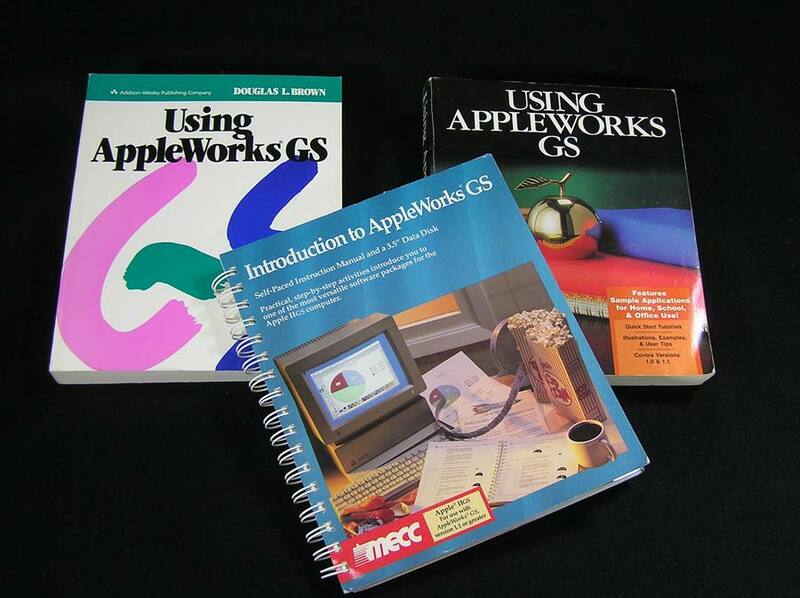 Introduction to AppleWorks GS, MECC, ISBN 0792901363, 1990, 186 pages. Easy to follow activities help you learn by doing. 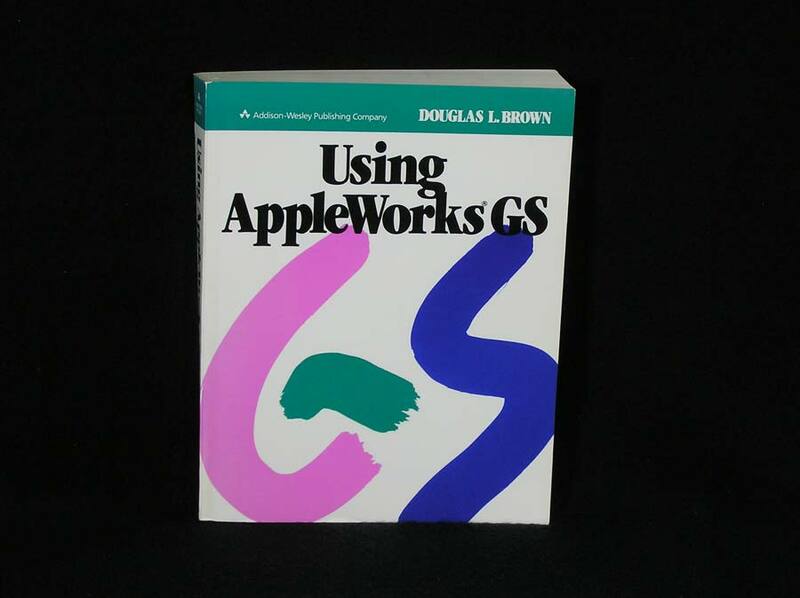 Using AppleWorks GS, Addison Wesley, Brown, ISBN 0201196786, 1989, 548 pages. 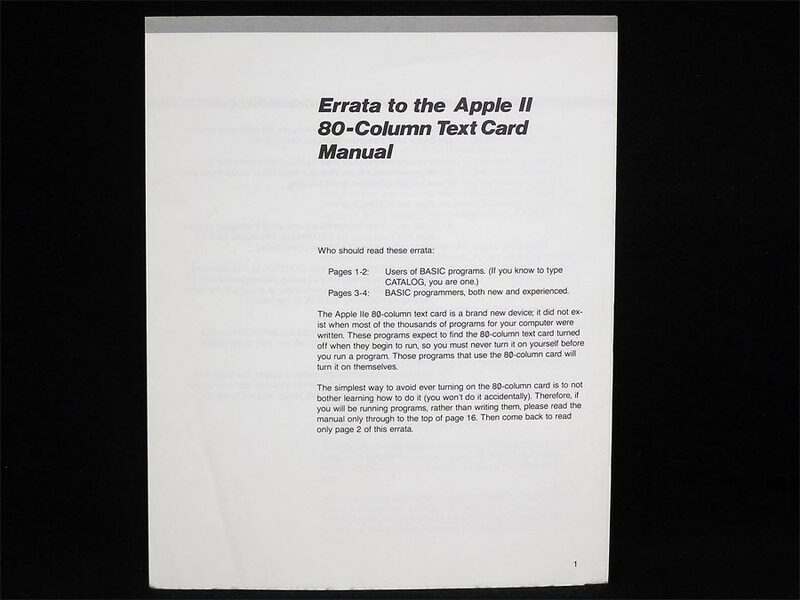 A Complete Guide to Using the Exceptional New Program for the Apple IIGS. 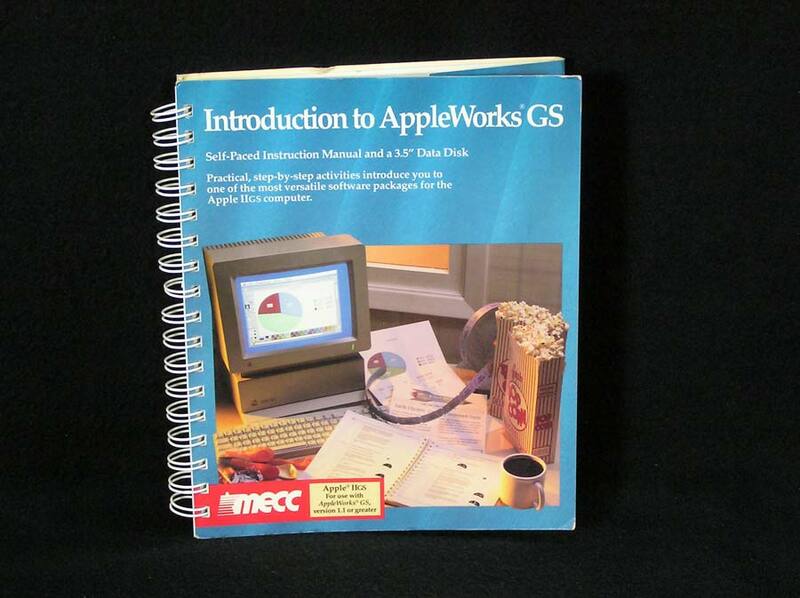 A) Mecc - Introduction to AppleWorks GS, Very Good Condition, Includes a non original 3.5 Disk. 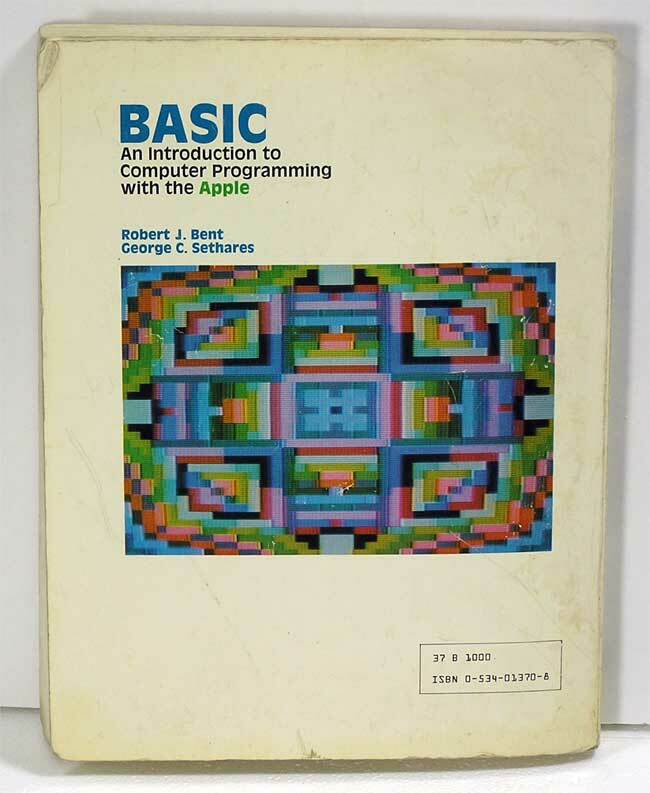 Learn to program in AppleSoft BASIC on your Apple II and what consideration is required of the entire programming process. 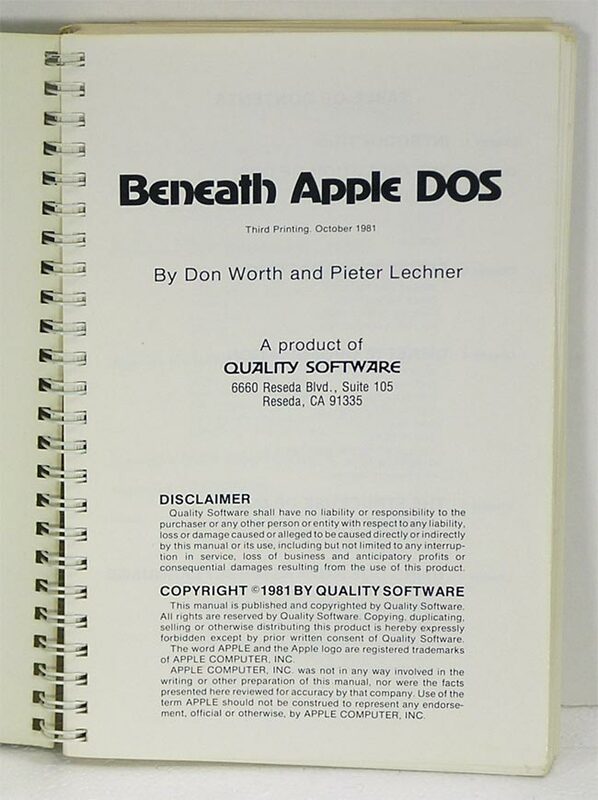 Companion to Apple's DOS Manual, providing additional information for the advanced programmer or the novice Apple II user who wants to know more about the structure of diskettes. 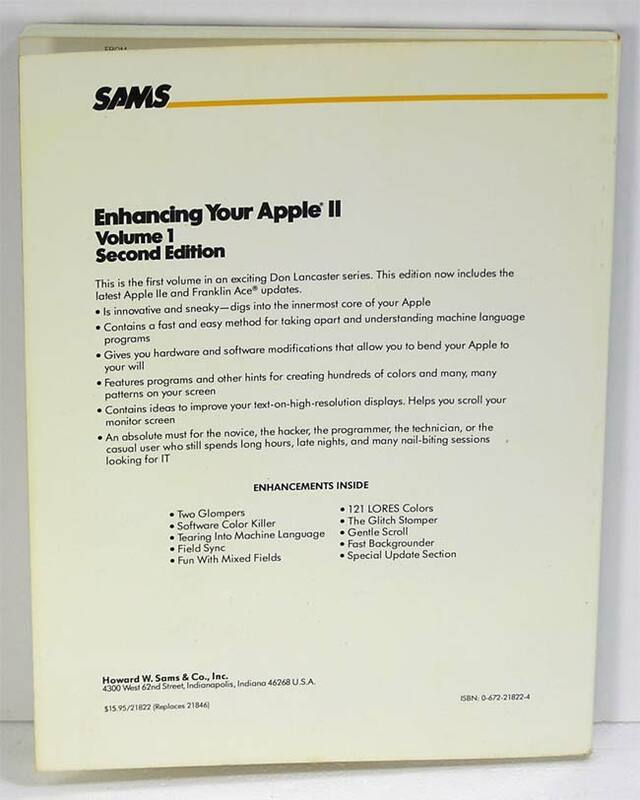 The different editions cover DOS 3.1 to 3.3. Note that I have several versions of this book available - from the 1st through the 3rd. 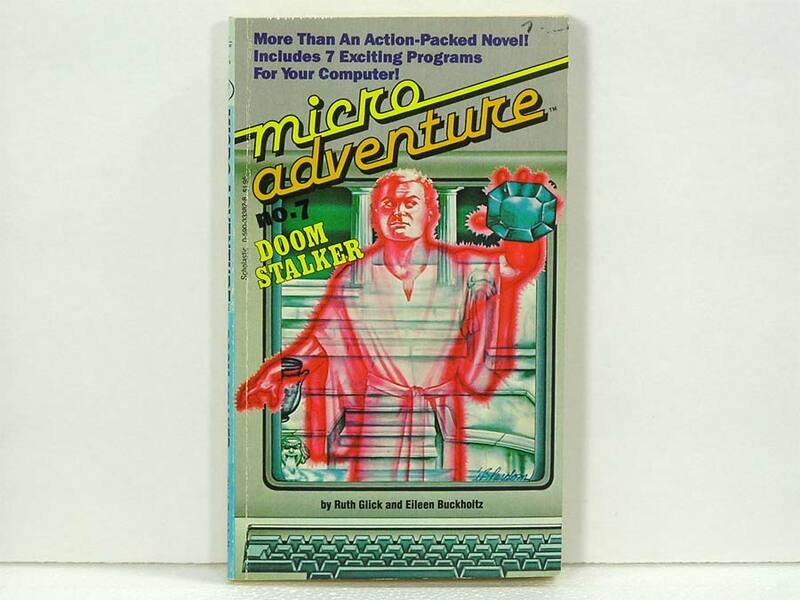 Pictured is a 3rd printing version. Most have never been read, but have gone from collector to collector, all have "shelf wear" primarily because of the reference card at the back and being boxed up numerous times.There are a couple with names stamped on the title page and/or reference card at the back and several have price stickers or residue from price stickers on the cover. 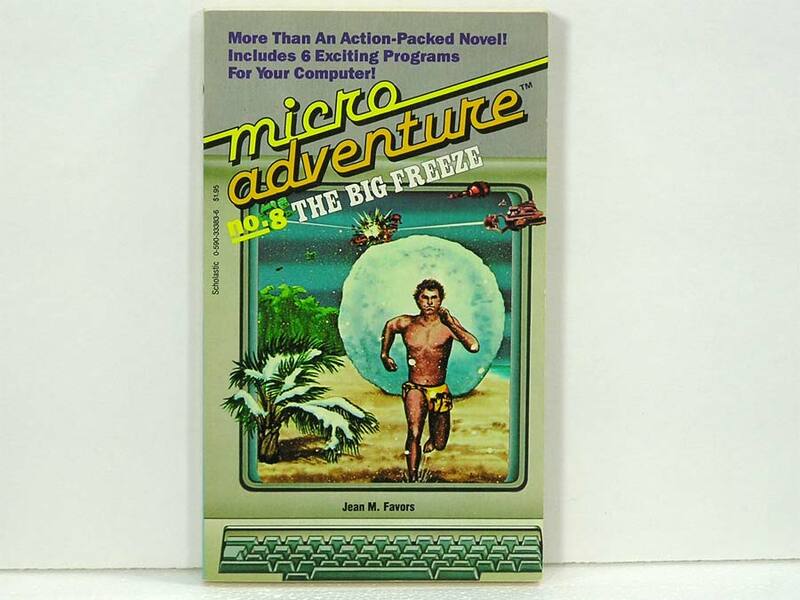 One 3rd printing version has had water damage(Acceptable), but is completely readable. CORRECTION: I have been previously calling them editions, because that is how most manuals are, but they are printings. 1st through 8th printings of this manual are what I have seen. 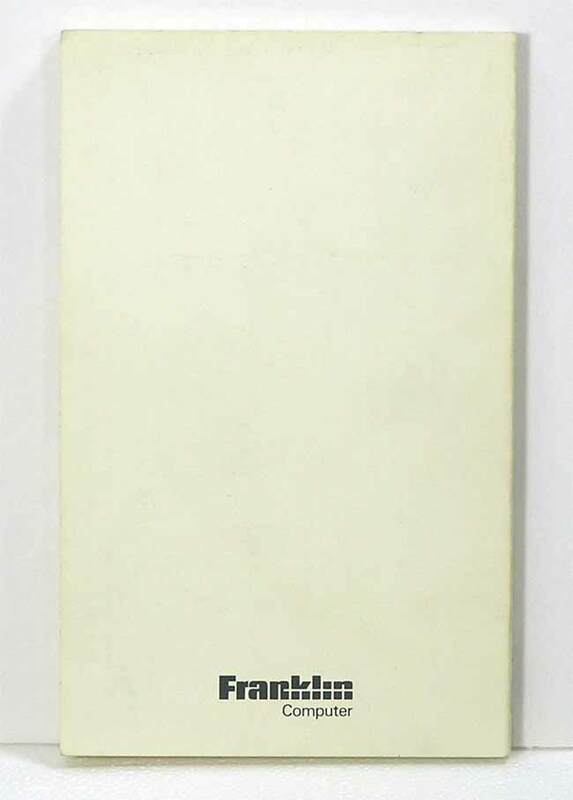 This Reference manual was put out by the Franklin Computer company - maker of the Apple II clones. 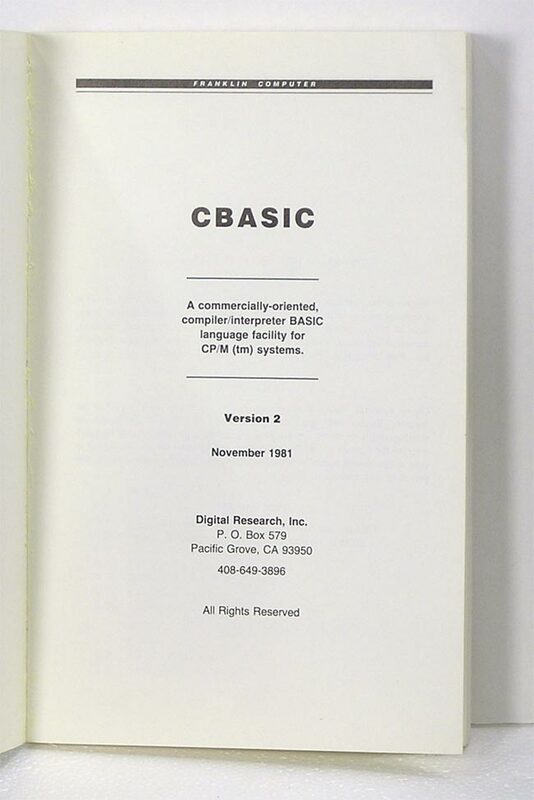 CBASIC - A commercially-oriented, compiler/interpreter BASIC language facility for CP/M and MP/M-80 operating systems. 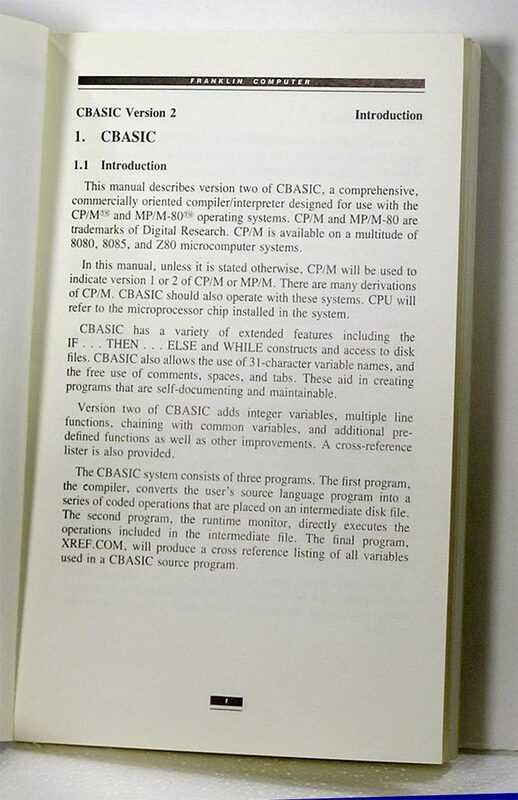 CP/M is available on a multitude of 8080, 8085 and Z80 microcomputer systems. This manual doesn't appear to have been read, but did manage to get a small crease in the front cover. 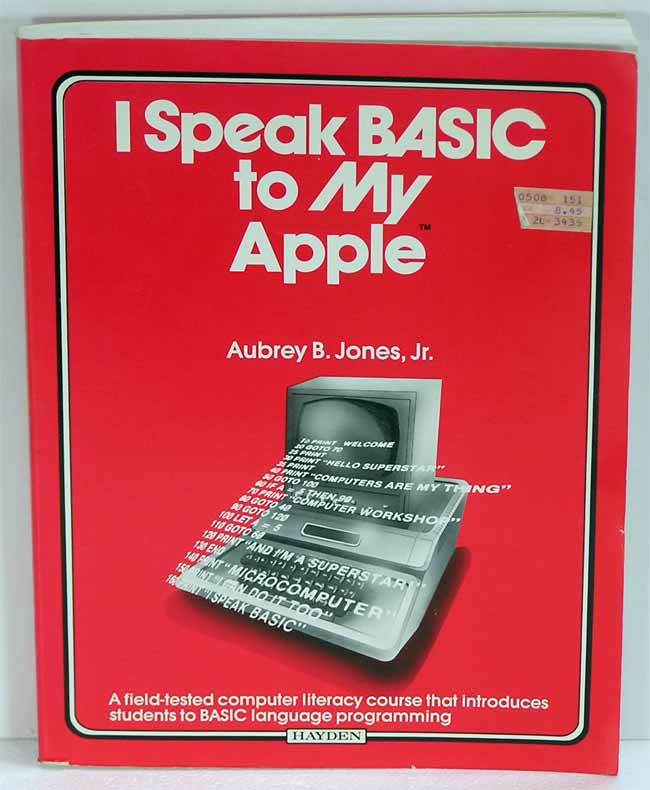 Learn AppleSoft BASIC the easy way! 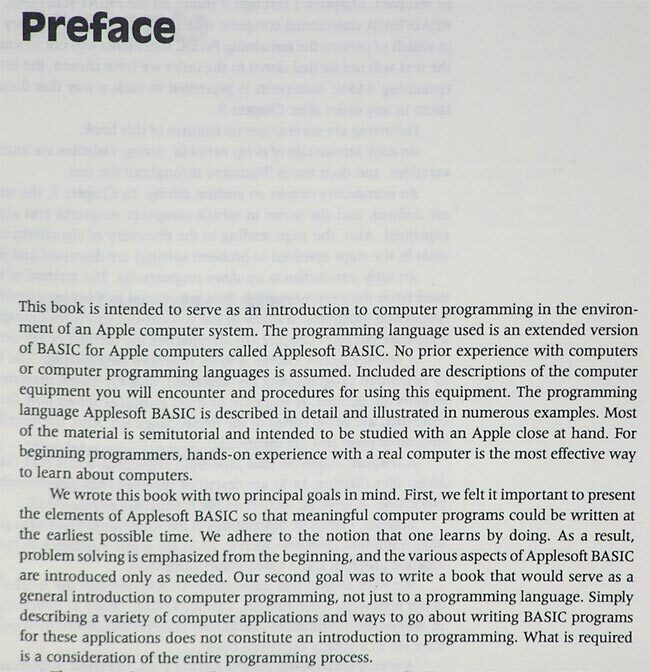 An entertaining and informative introduction to computing with easy to learn, practical programming techniques while learning AppleSoft BASIC. 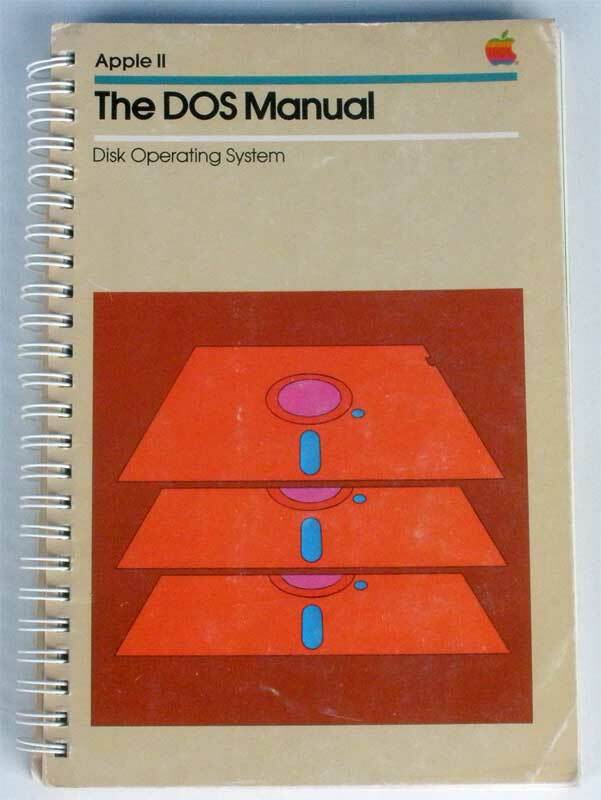 Also offers a comprehensive appendix on the Disk Operating System (DOS 3.3) and much more. 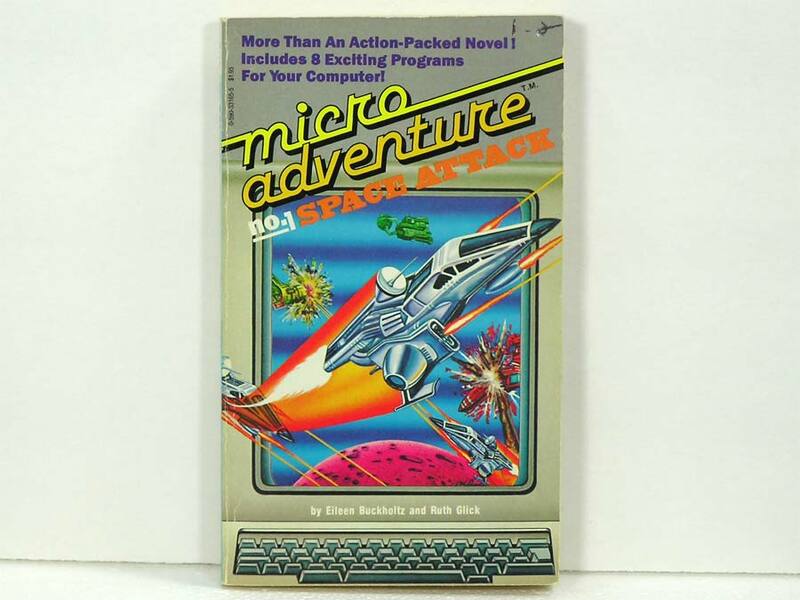 This edition contains the latest Apple IIe and Franklin Ace updates. 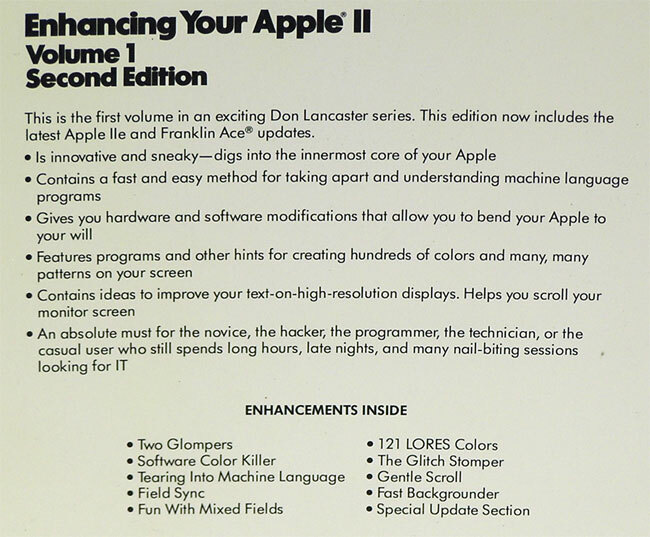 Contains hardware and software modifications that allow you to bend your Apple to your will. An absolute must for the novice, the hacker, the programmer, the technician, or the casual user who still spends long hours, late nights and many nail-biting sessions looking for IT. Learn Basic with the Hands-On approach. The Hands-On method is a proven, efficient way to learn BASIC programming with a minimum of supervision. 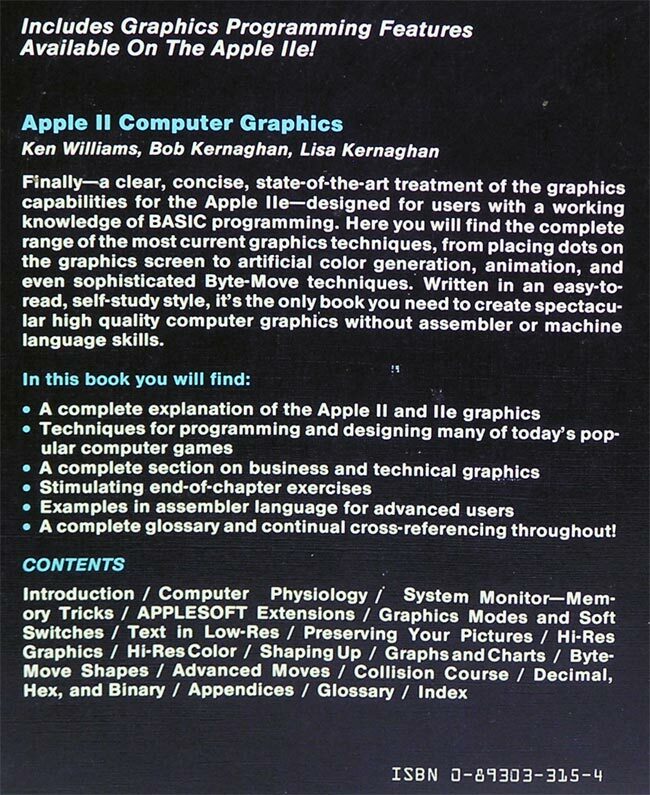 Includes a section on graphics and files. 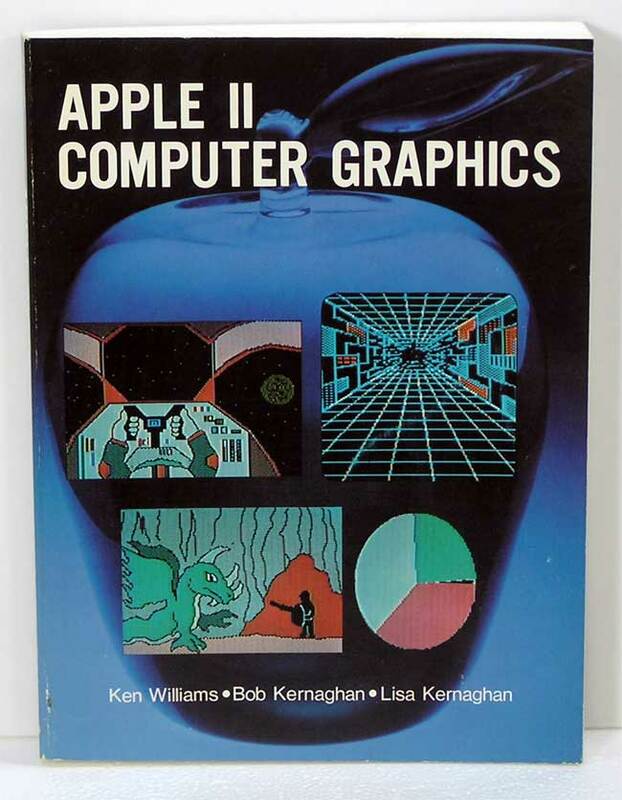 For the Apple II series. 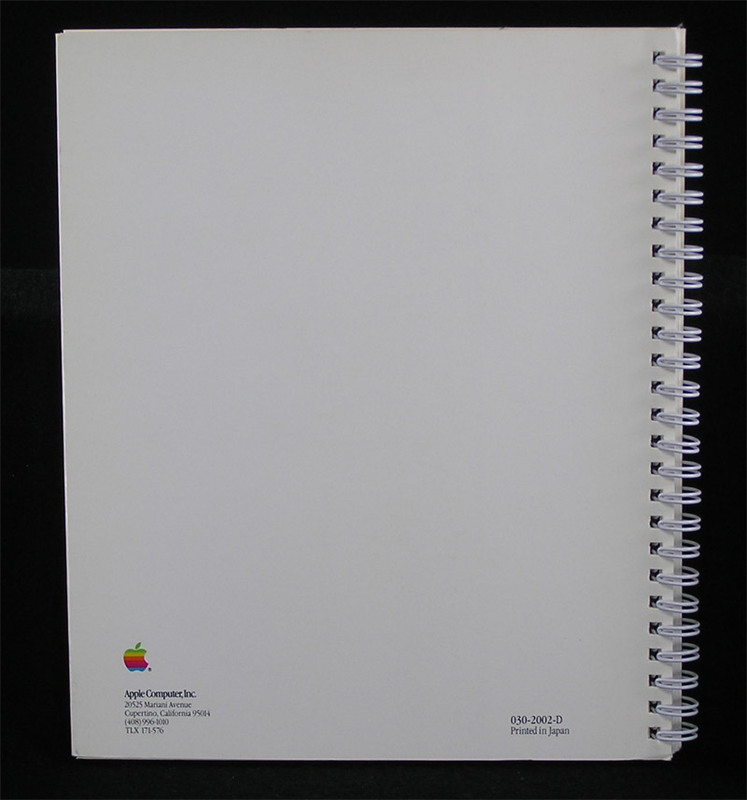 Apple ImageWriter II Owner's Manual, 030-2002-D. 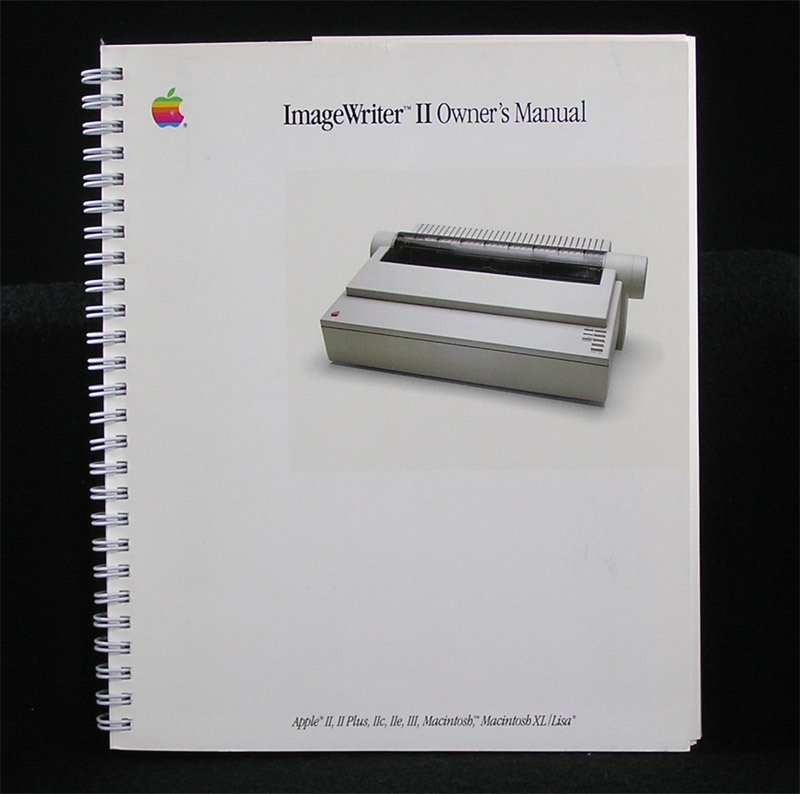 Complete setup and control of your ImageWriter II printer. 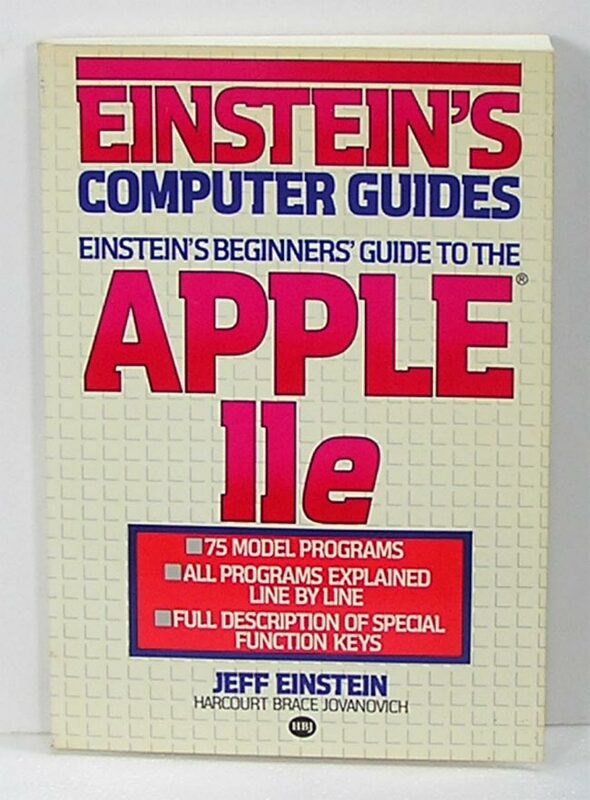 Instructions for use with the Apple II, II Plus, IIc, IIe, III, Macintosh, Macintosh XL/Lisa. Of course, the ImageWriter II will also work with the Apple IIGS and all Macs through the Beige G3. 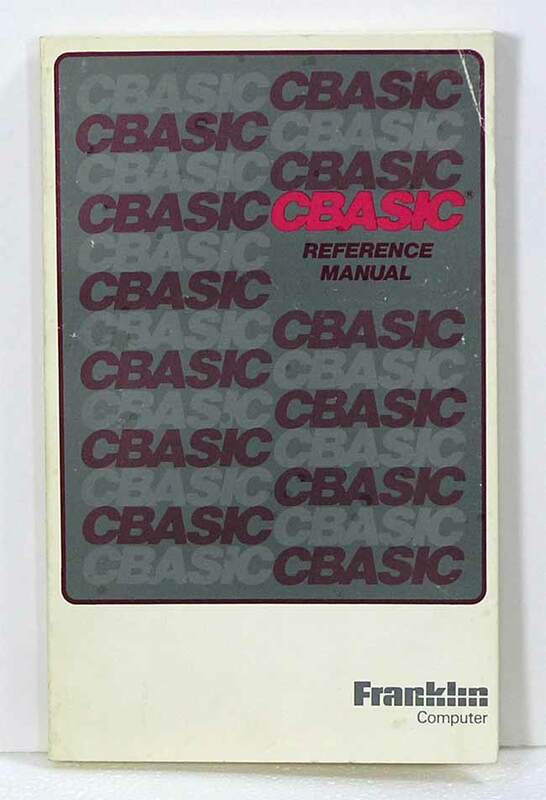 Manual is complete with the extensive Quick Reference Card. 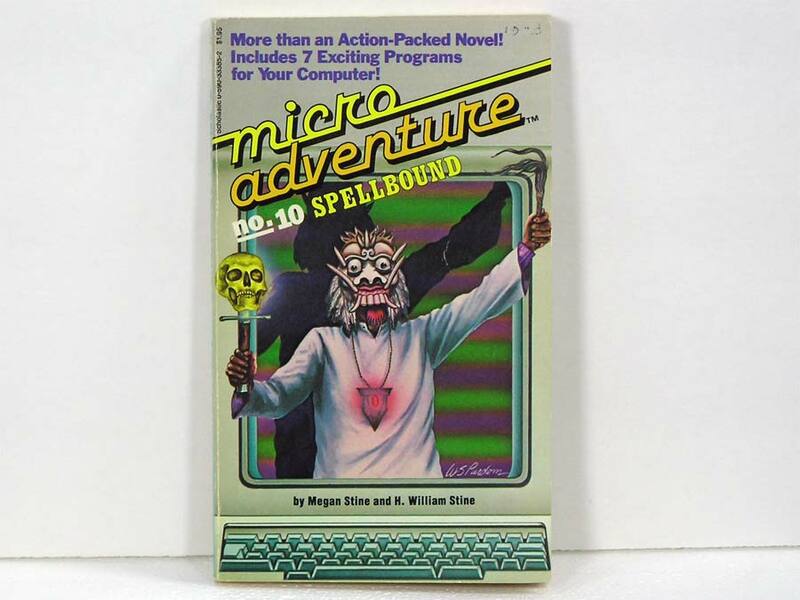 Available as the Manual Only or Add on to an ImageWriter II purchase. 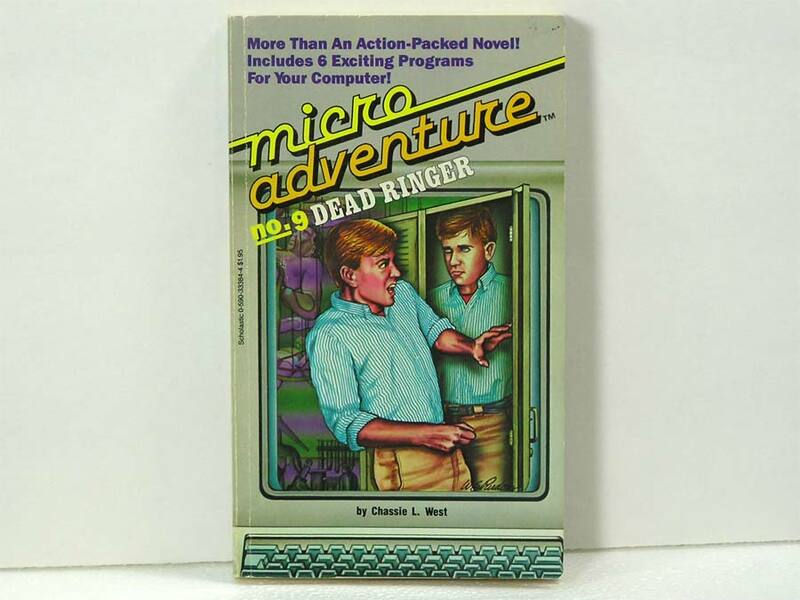 More Than An Action-Packed Novel! 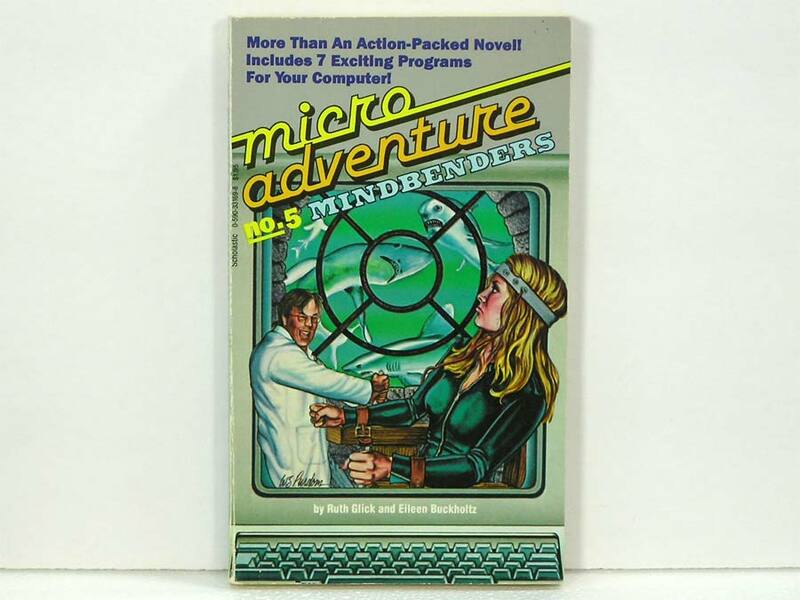 Adventure books for your computer. 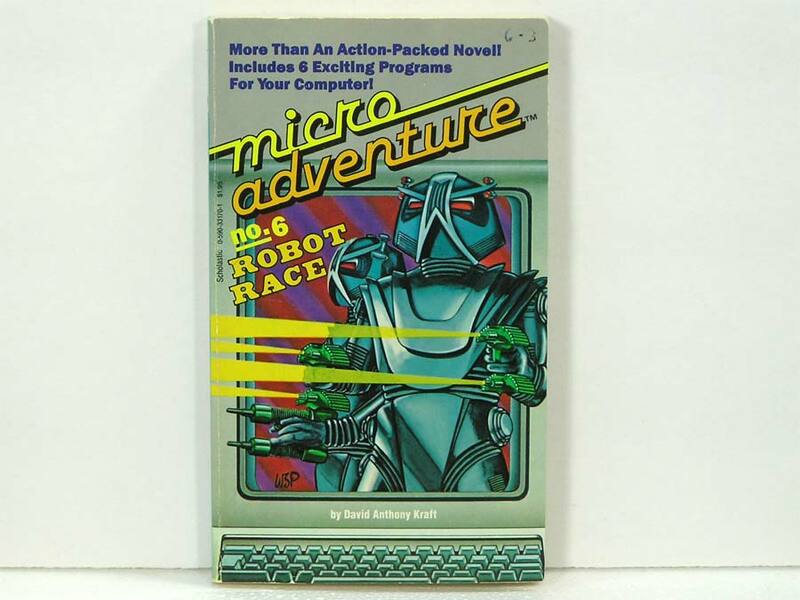 Starting in 1984, these interactive novels take you on many computer adventures, what a great introduction to BASIC programming. 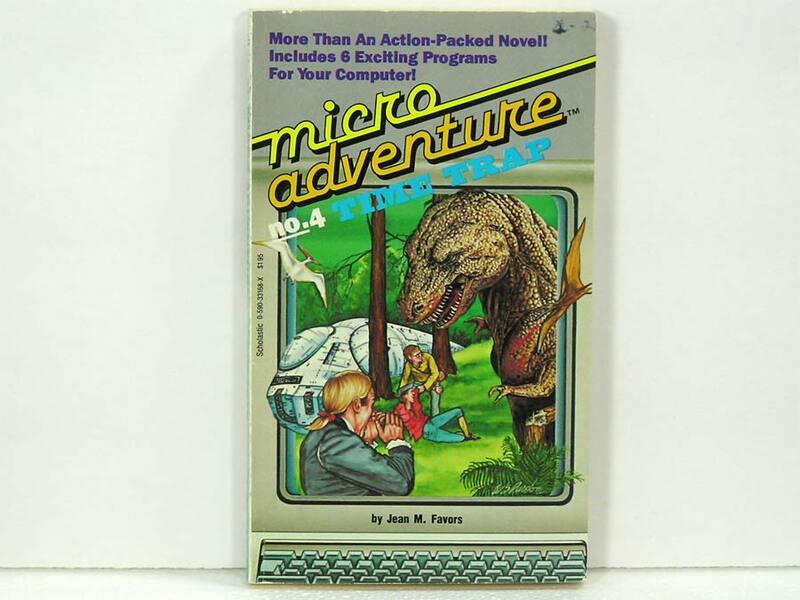 Micro Adventure is more than a great adventure story. 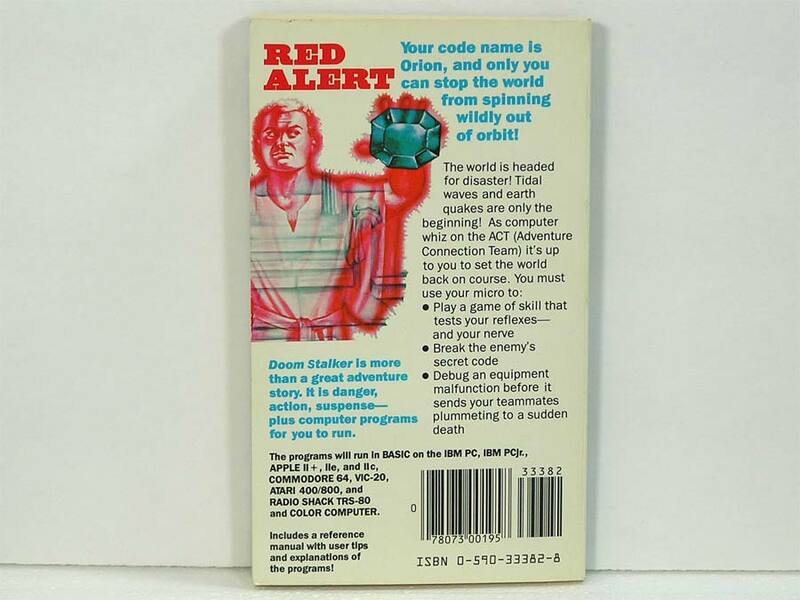 It's danger, action, and suspense - plus computer programs for you to run. 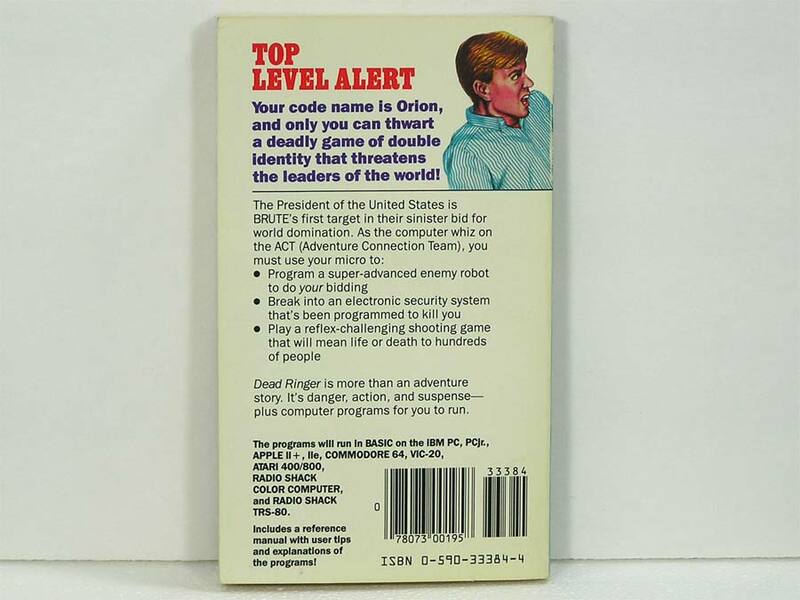 Your name is Orion, and as the computer whiz on the ACT (Adventure Connection Team), only you can save the world. 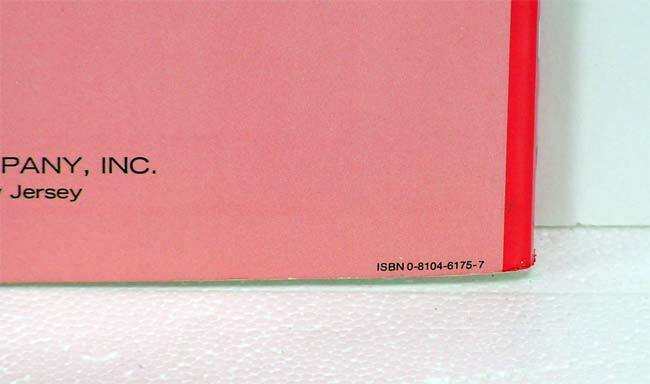 All have a number written on the cover, or a name written inside the cover. 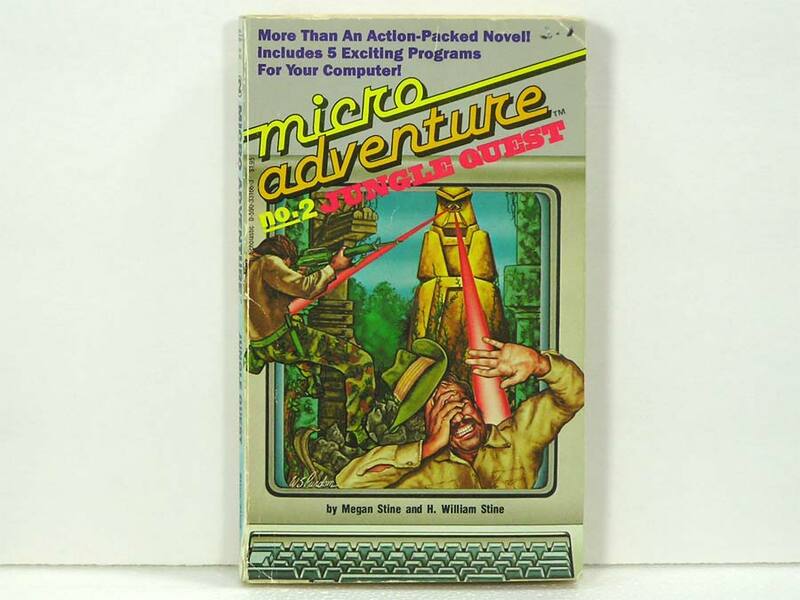 Micro Adventure #2, Jungle Quest is in poor condition - pages are separating from the binding, but is all there. 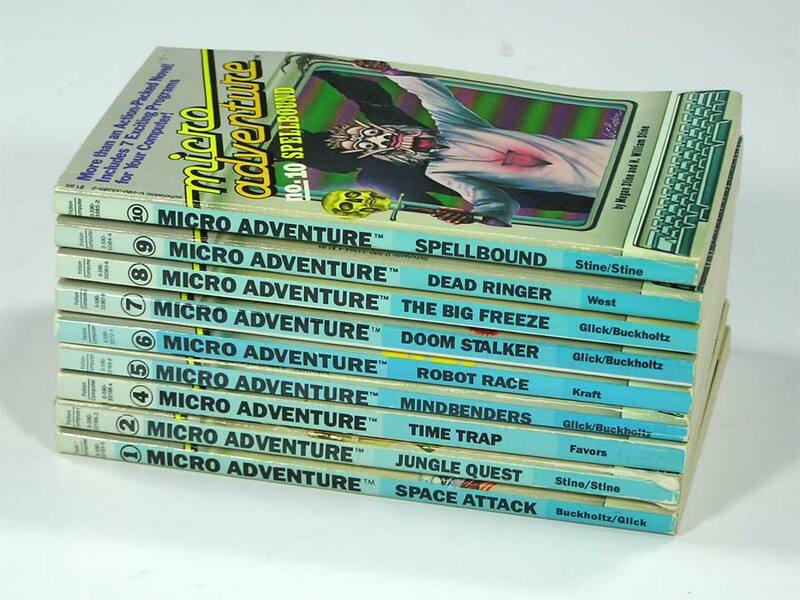 The rest of the books are in good to like new condition - call them all good. 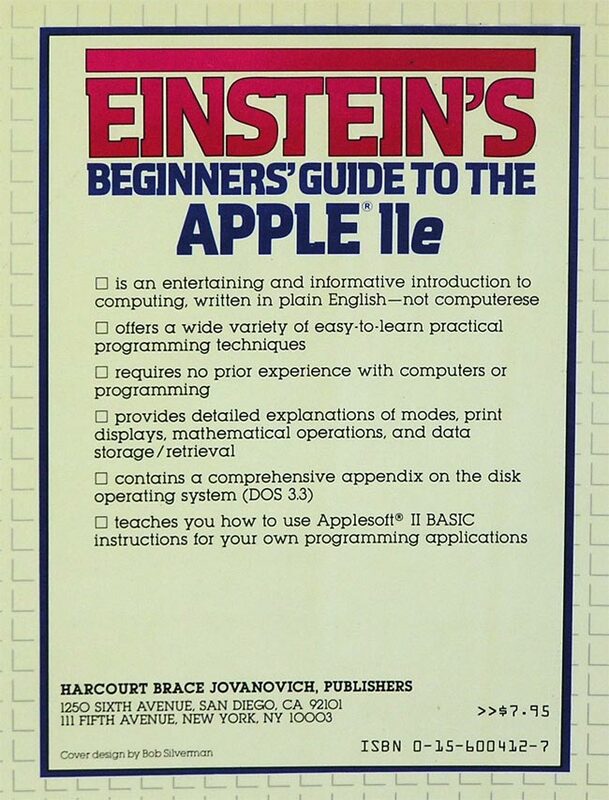 BASIC programs will run on an Apple II Plus, IIe, IIc, IIGS or other computers of the era. A nice companion for your Monitor II. 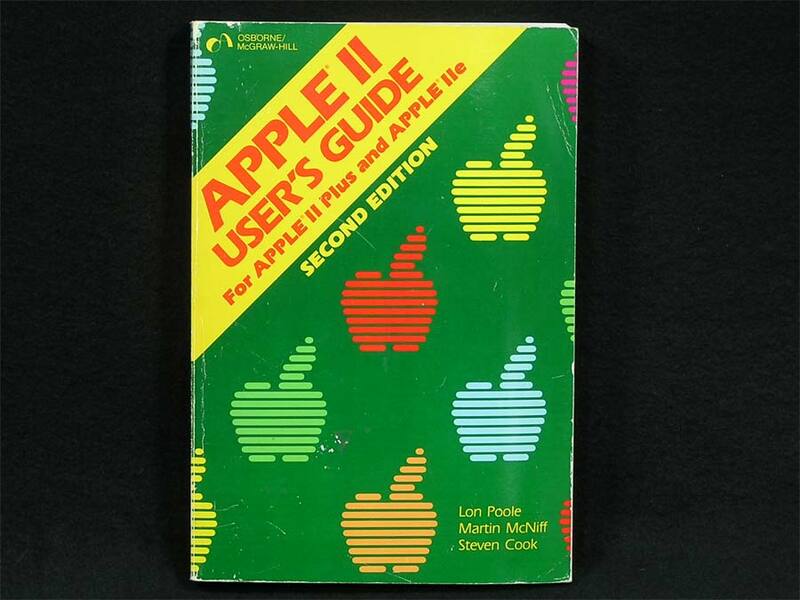 Monitor II User's Manual for the Apple II. 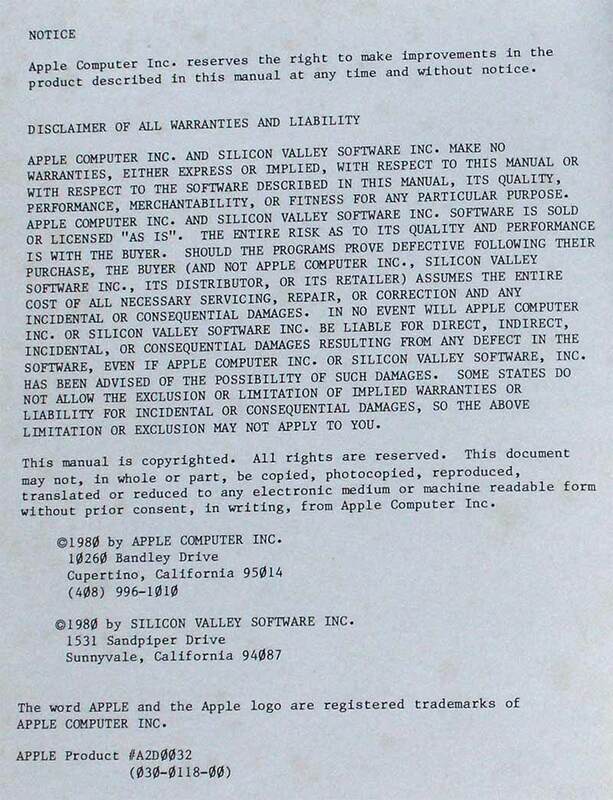 Apple Product #A2L2019 or 303-0598-A. 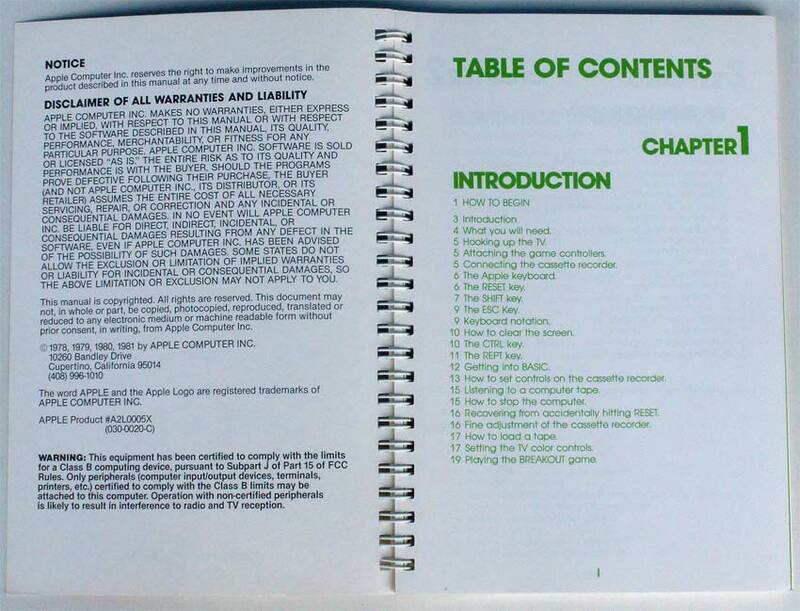 This is the manual that came with the Monitor II explaining setup, controls, adjustments and troubleshooting. 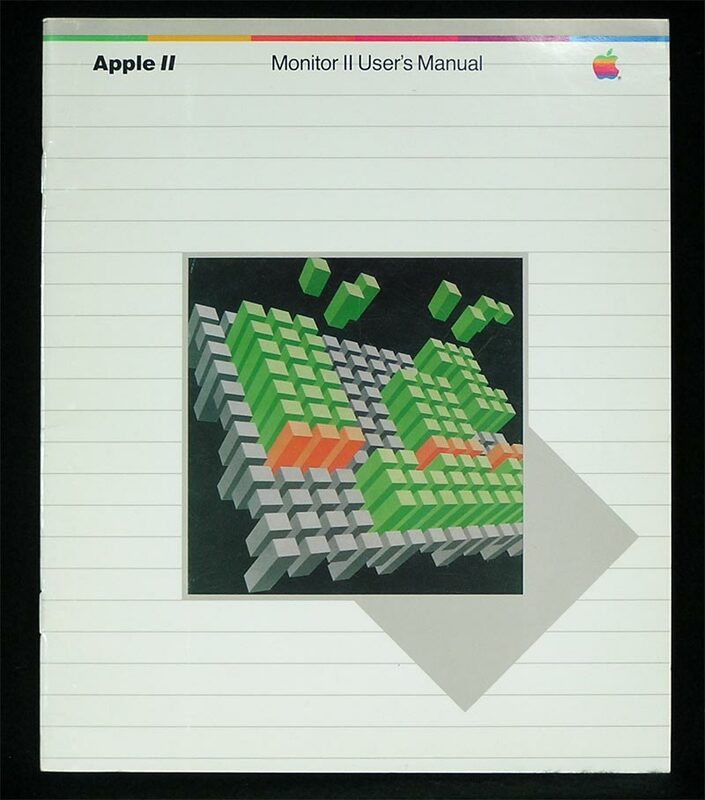 Apple later turned the Monitor II platinum in color and renamed it the Apple Monochrome Monitor IIe. There are more monitors in stock than manuals, so these are also available with the purchase of any Monitor II or Monochrome Monitor IIe for a discounted price. Select Manual Only or Add-on to Monitor. Nibble Express just keeps getting bigger! 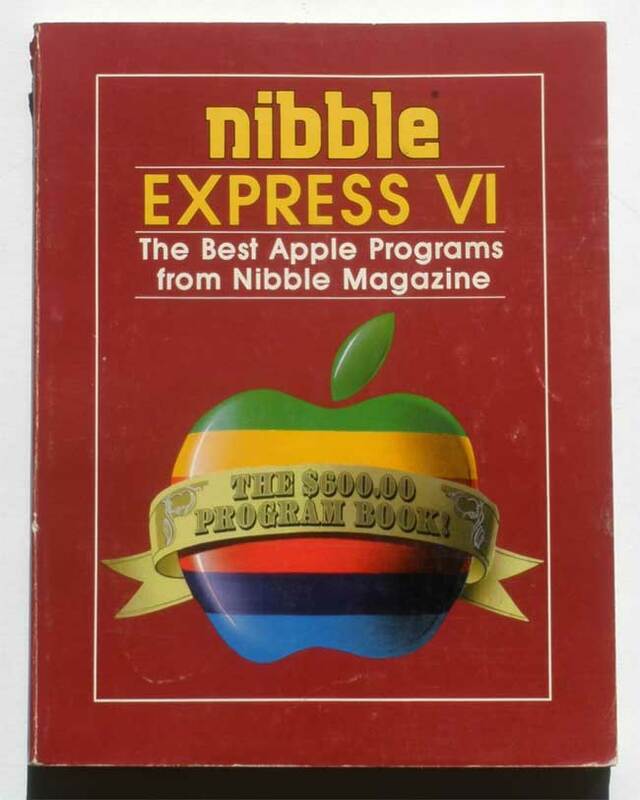 That's because each year the editors of Nibble magazine find more great programs for the Apple computer. 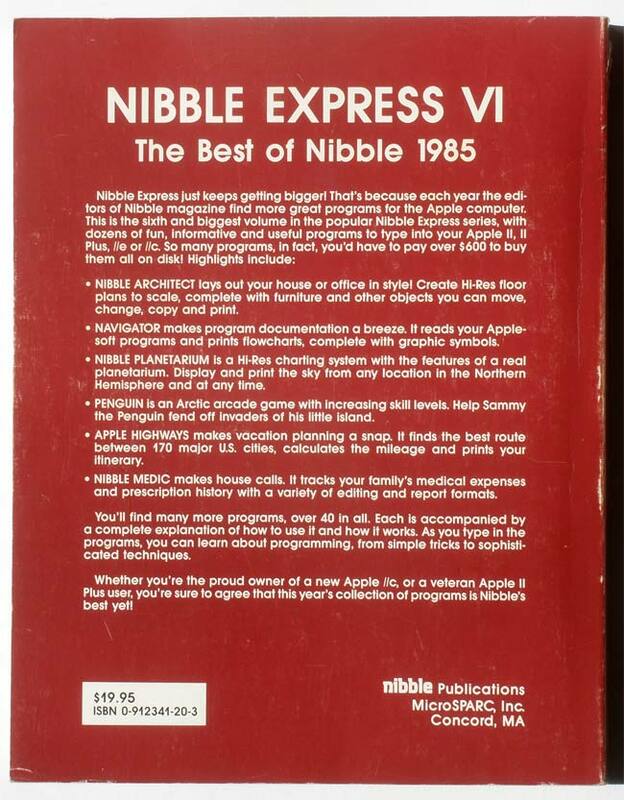 This is the sixth and biggest volume in the popular Nibble Express series, with dozens of fun, informative and useful programs to type into your Apple II, II Plus, //e or //c. So many programs, in fact, you'd have to pay over $600 to buy them all on disk! Access the Apple IIGS's multidimensional power! 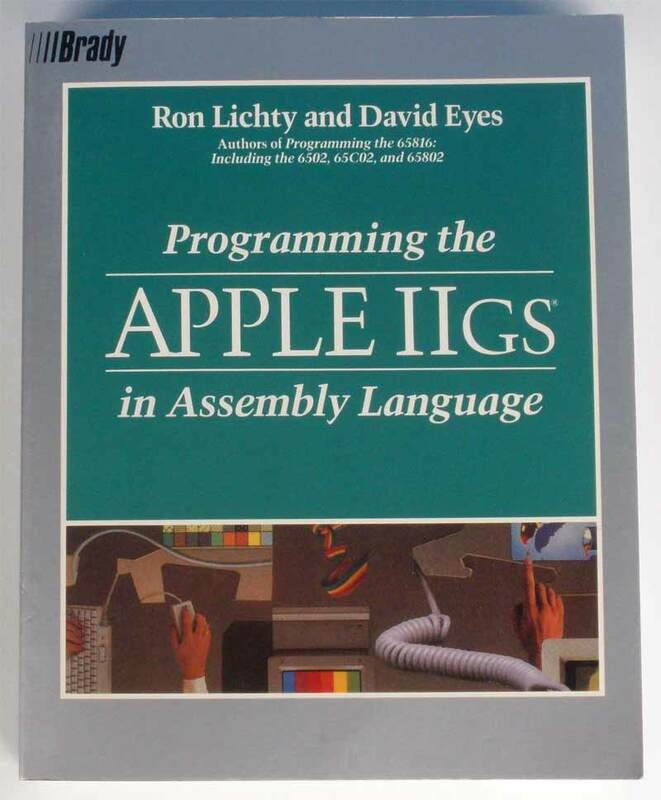 Whether you're a professional programmer or hobbyist, this book's step-by-step approach provides the fundamental tools for creating Apple IIGS applications with 65815 assembly language. Remaining manual (not pictured) doesn't look like it's been read, but covers are showing shelfwear and a couple of bends in the back cover. 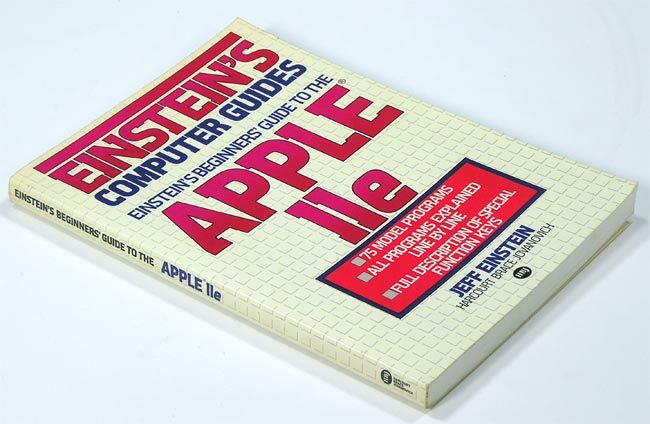 The book points the way for you to learn more of the endless possibilities of computer knowledge. With this book you can overcome computer-anxiety with computer-competence and take advantage of the transition to computers in every field. From first-graders to retirees, the computer promises a wide range of uses for jobs, study, medicine, graphics, entertainment - it touches every area of our lives. 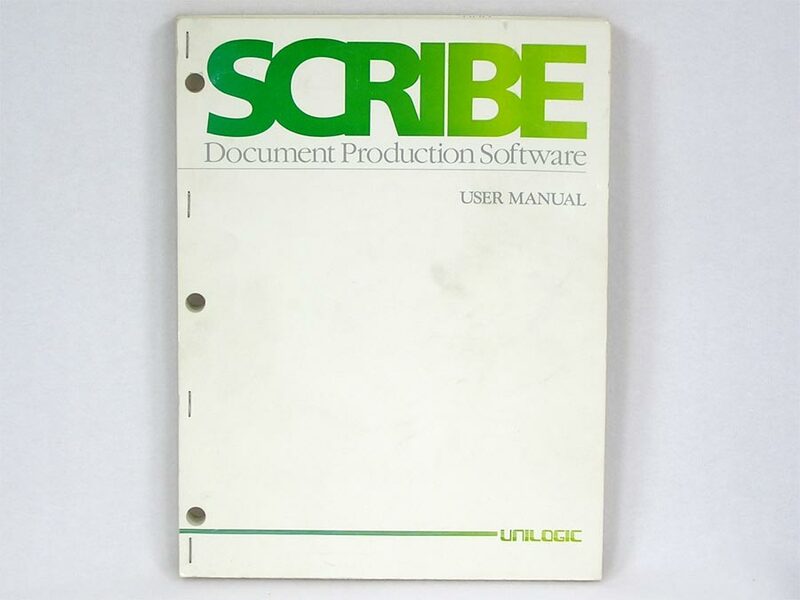 Scribe Document Production Software. 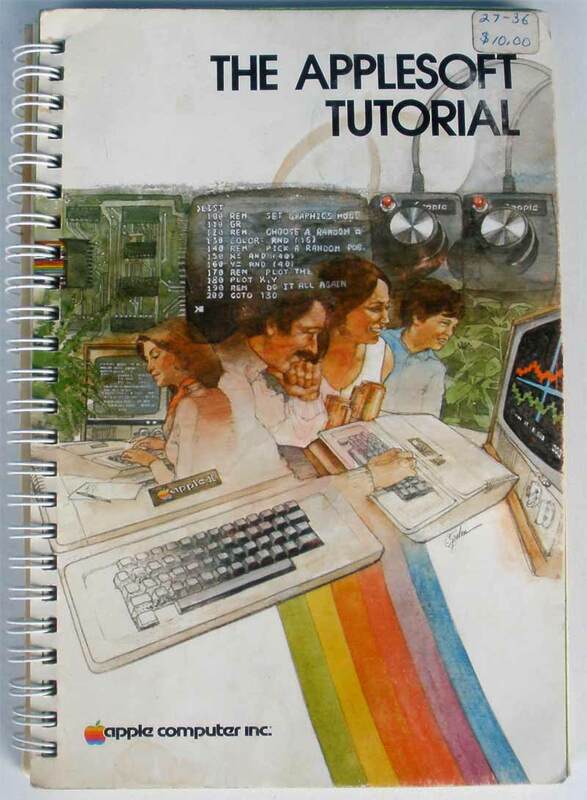 1985 User Manual by Unilogic. 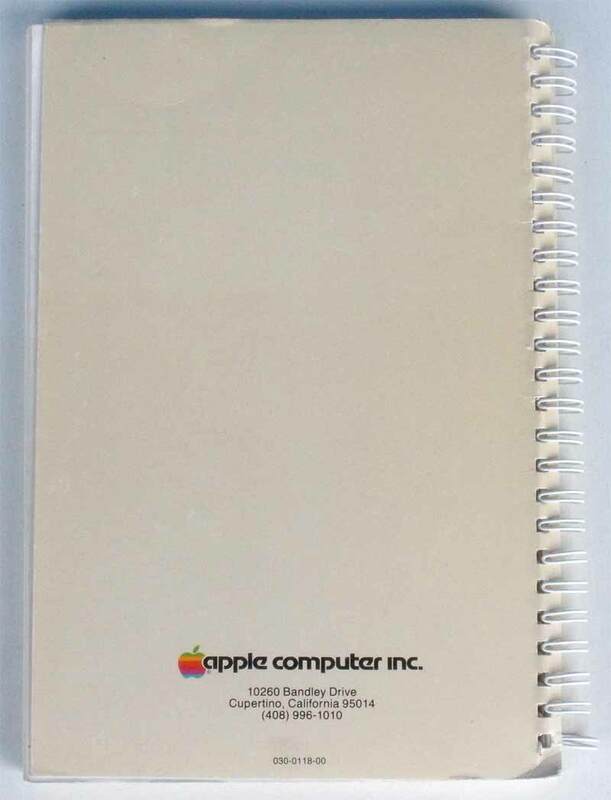 This 274 page User Manual is in great condition inside and has a couple of small marks or stains on the covers, no software, manual only. 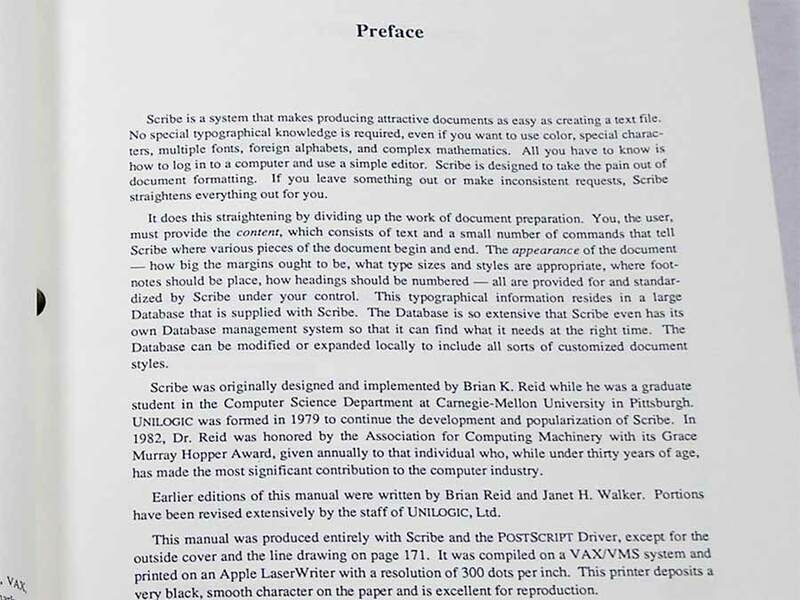 "Scribe is a system that makes producing attractive documents as easy as creating a text file." 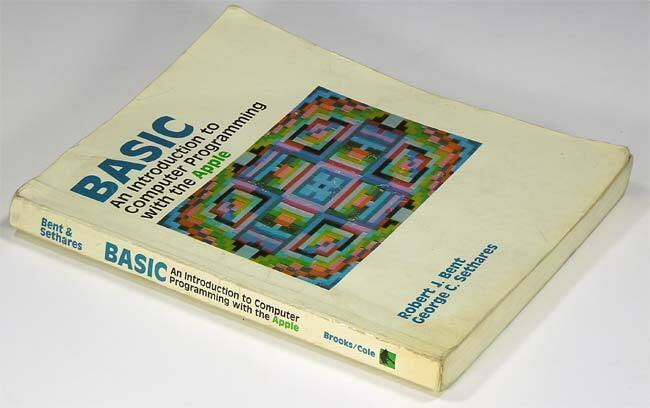 Back in the day before software even existed, you had to write your own! 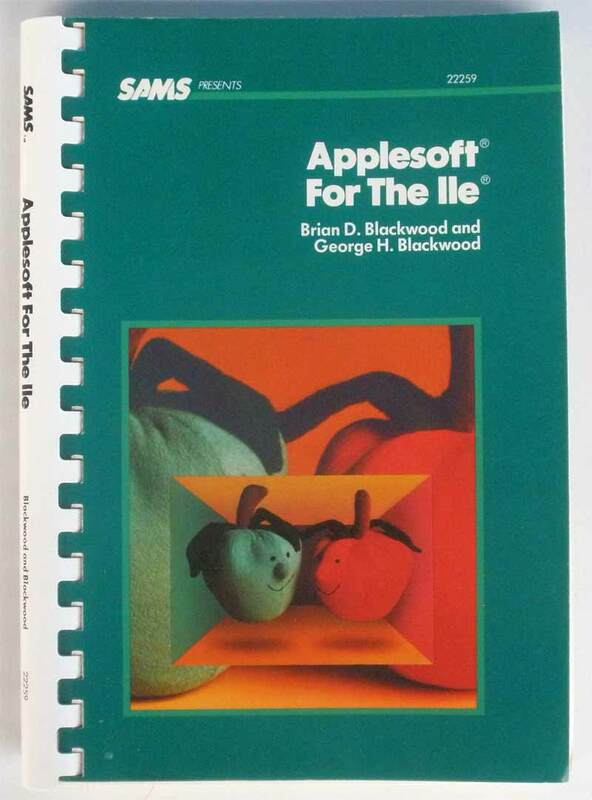 The Applesoft Tutorial starts you off with setting up your Apple II and the shows you what you can do with it. 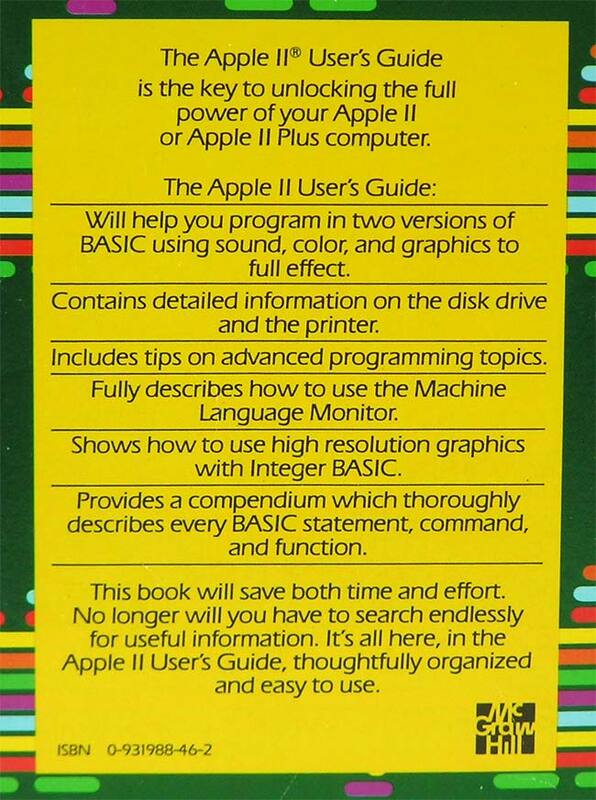 This manual will show you how to plug in your Apple (easy) and will be a guide as you learn to program it (also easy). 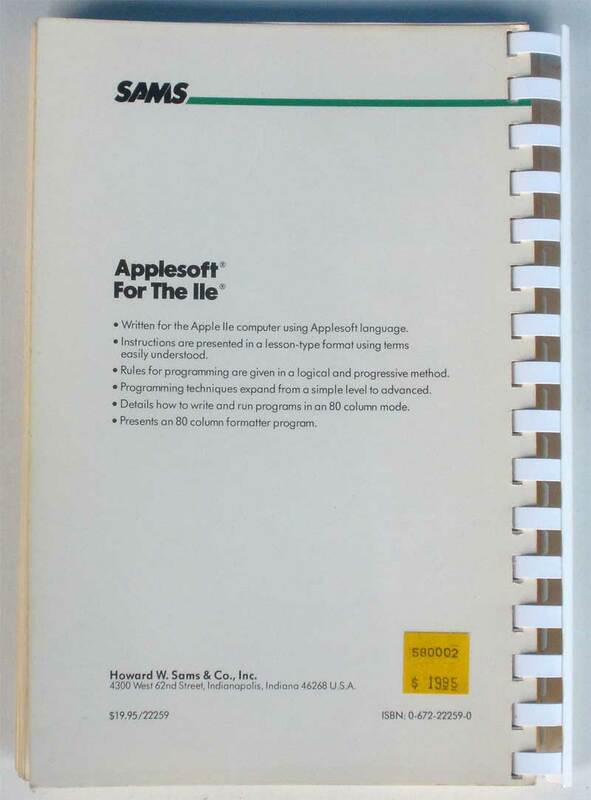 If you are an Old Hand at programming, you will find some new features and conveniences in Applesoft basic that make programming a lot more fun. 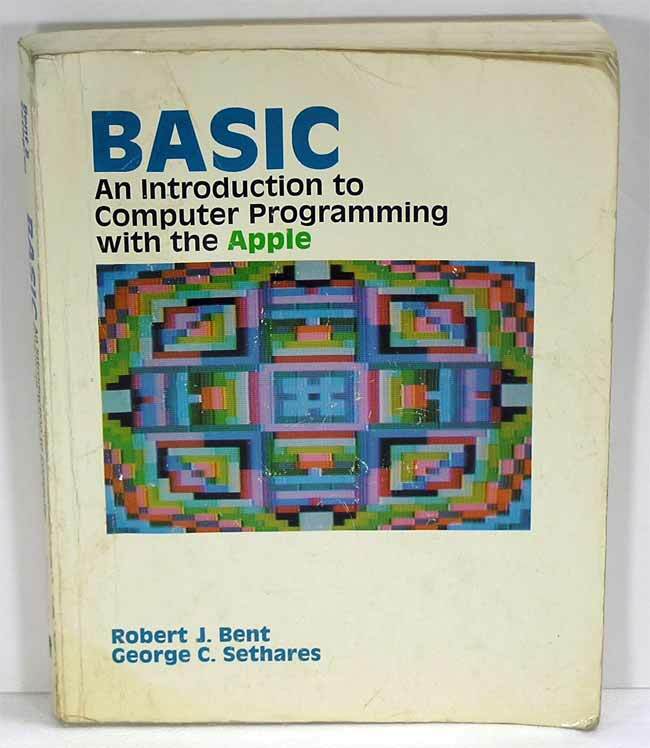 If you are a Newcomer to programming, you will also find many features and conveniences in Applesoft BASIC that make programming a lot of fun. But, if you are a Newcomer, be warned that programming, though not difficult, can only be learned by doing. More will be said on this topic later, but remember--this is a book to be used, not merely perused. This manual has two primary functions. 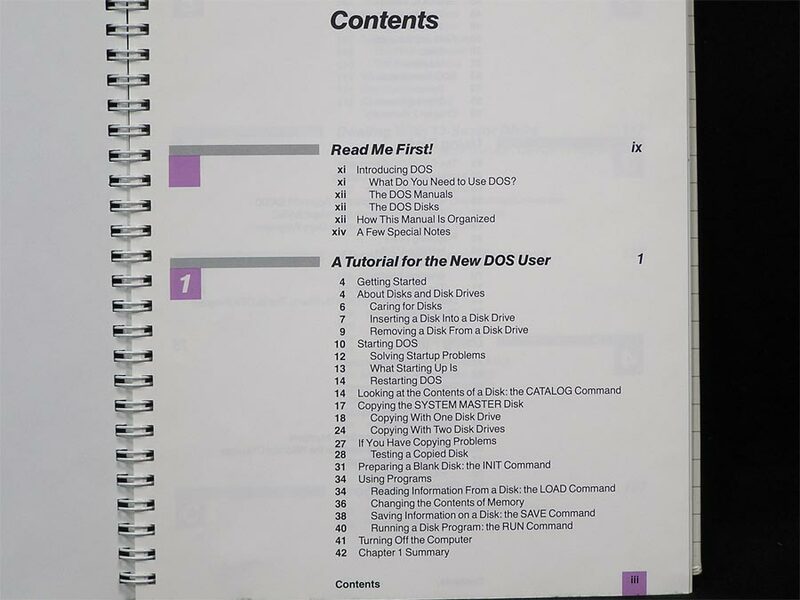 The first is to teach you how to use the DOS (Disk Operating system): the Chapters of the manual use examples to accompany explanations of how the various DOS commands work. 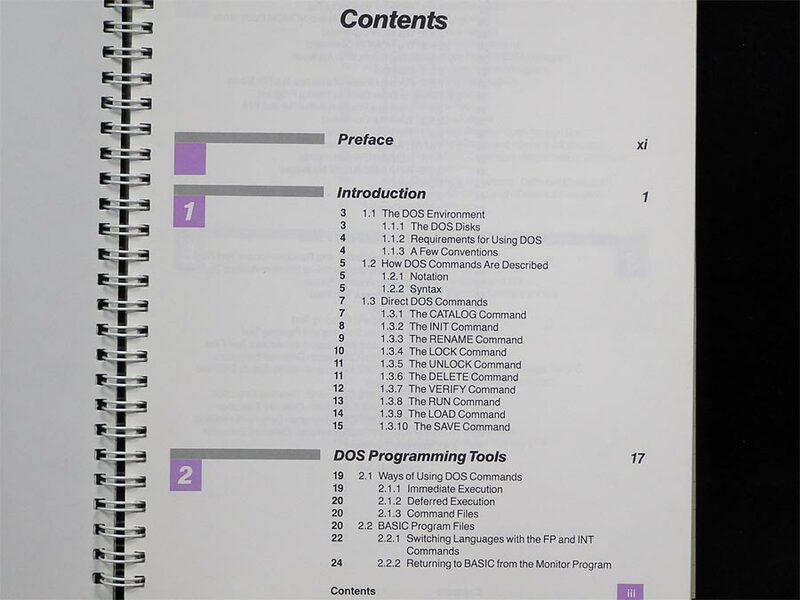 The second function of this manual is to serve as a reference guide to DOS. The Appendices, Quick Reference Card, and the Indices were planned with this function in mind. 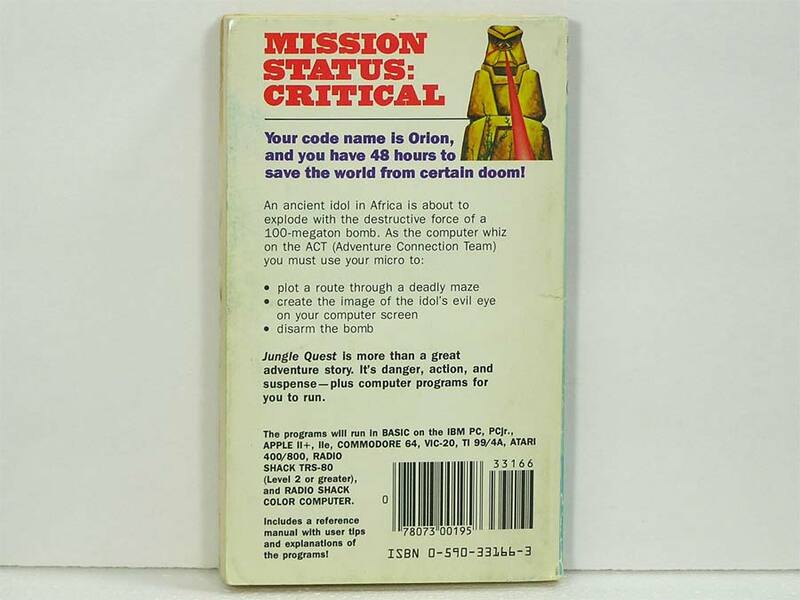 Pictures show a manual in Good condition. 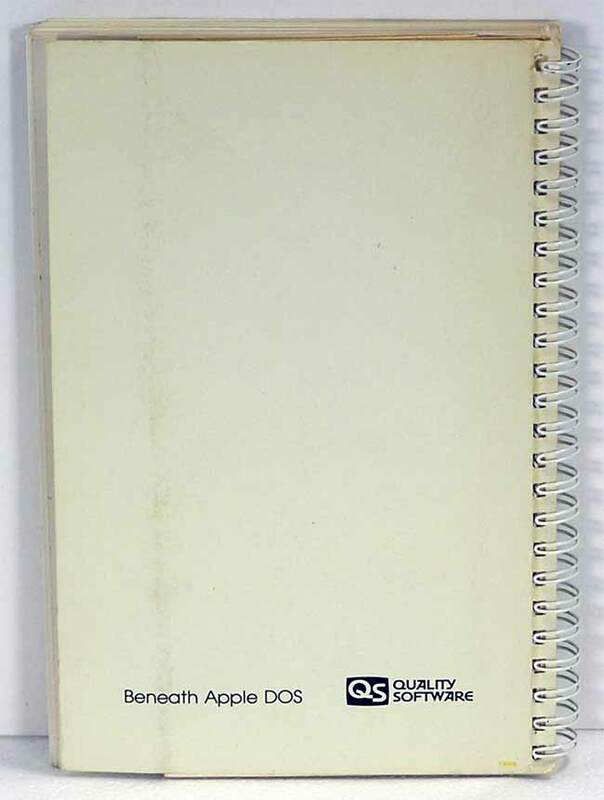 External wear, pages are clean.